Welcome to my Aircraft Recognition Guide 1! I decided to come up with this post to encourage and share the passion of aviation with the public especially for those having a slight interest in plane spotting, this is the post for you! I hope this guide helps you recognize the aircraft type. In my recognition guide, I focus on aircraft that are spotted in most airports around the world. So whenever you see a plane at the airport tarmac, you can refer to this guide to help you recognize the type. Ever since I started plane spotting in Singapore during my polytechnic days, the internet was expensive. Fortunately, I knew a few aviation friends and some of them introduced the aircraft types to me and slowly I was able to recognize them, mainly the ones that flew to Singapore. Slowly, I picked up more aircraft types and I can recognize most of the commercial airliners flying today. When you have a strong interest in something, you are able to pick it up very quickly! Without further ado, let's begin. *Most photos from Jetphotos and Airliners.net are credited to the respective photographers. 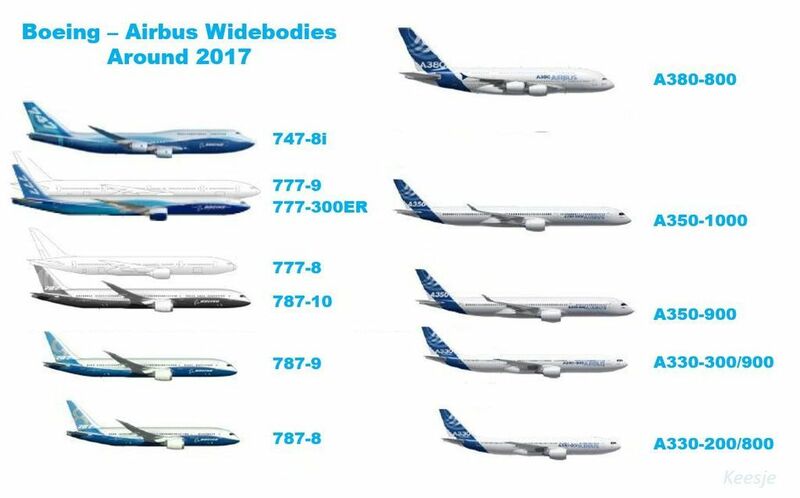 A few photos are credited to Airbus and Boeing manufacturers. *I will post information of aircraft that you are most likely see at the airport. Airbus acquired a 50.1% percent stake in Bombardier in October 2017 with the deal being sealed in July 2018. The technical specification of the aircraft remains the same, the only thing changed was the name of the aircraft. Before this deal took place, the Canadian manufacturer had financial issues with the government loaning a sum of money to the manufacturer. Fortunately, Airbus came in with an offer to buy a certain percentage of the C-series program with an option to buy out the remaining % after a number of years. With this new addition to the Airbus fleet, there are more options for airlines to choose from operating the right type of aircraft for their fleet. 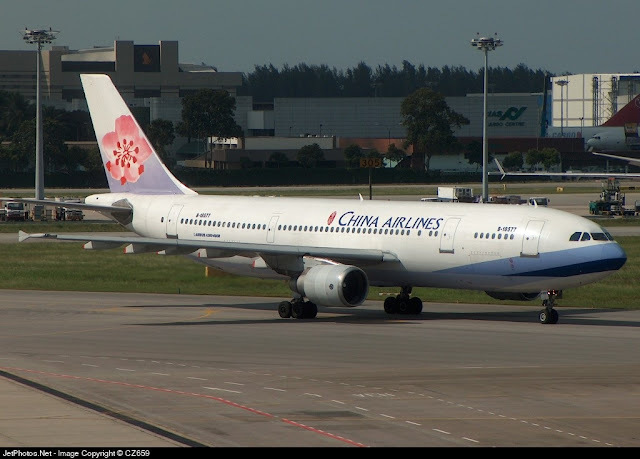 China Airlines' retired Airbus A300-600R. 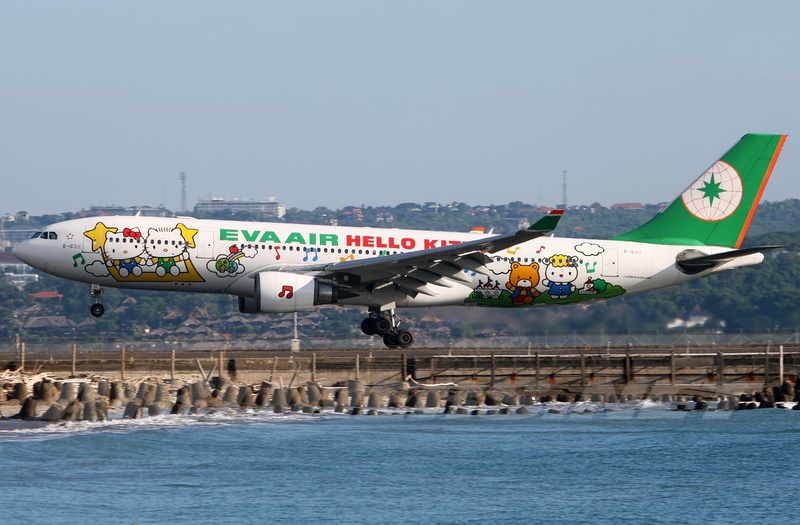 This aircraft type has become rare and most airlines have already retired it in favor of newer aircraft such as the Airbus A330 and Boeing 787-8. For this airline, the Airbus A330-300 replaced this aircraft type. 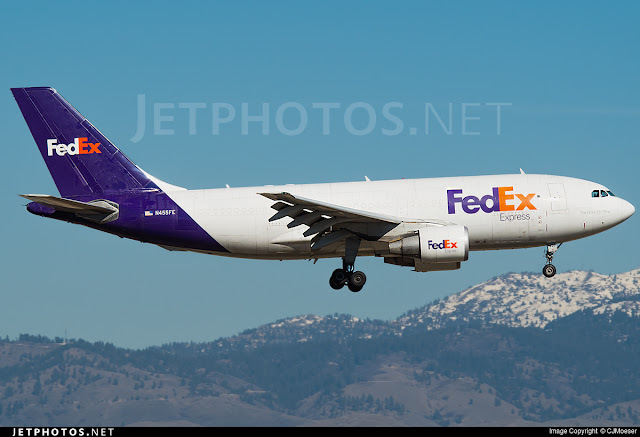 The Airbus A300-600R is an improvement over the A300B2 and B4 series and the R series provides a longer range for airlines, making this type more popular than the others. 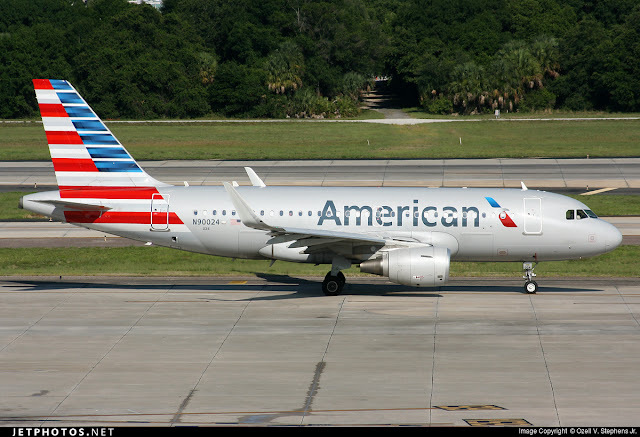 First flight of this aircraft type took place on the 9th December 1987 and the first delivery was on 20th April 1988 and American Airlines took delivery of this aircraft. 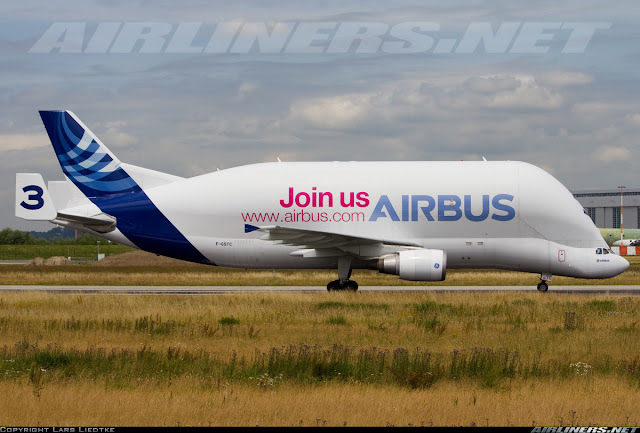 Later on, conversion to a freighter for this aircraft type was offered by Airbus. This is the Airbus A300B2, an older version to the A300B4 series. 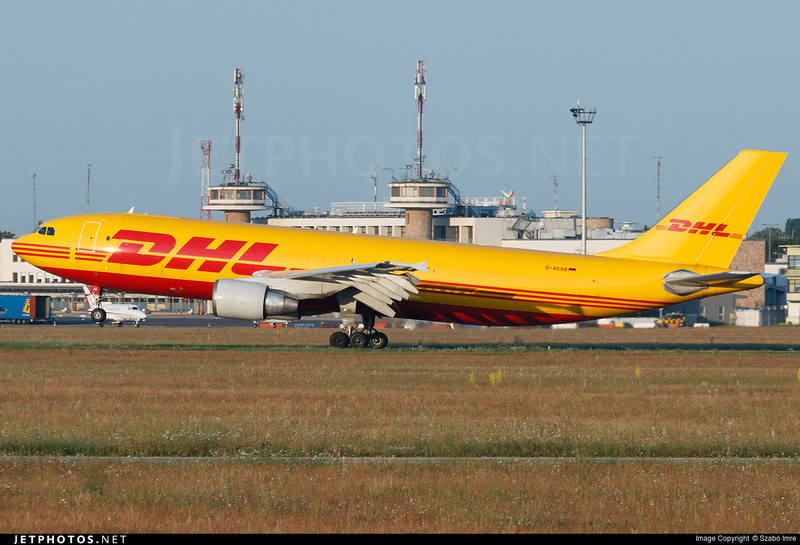 This is DHL's Airbus A300-600F. This is the modified version of the Airbus A300-600 built by Airbus to transport large parts of an aircraft such as tail section and the wing of a brand new aircraft. 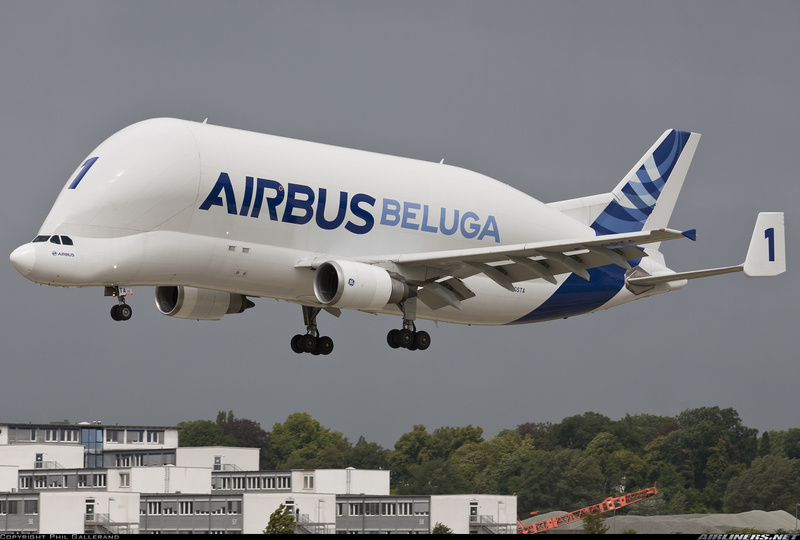 It replaced the Super Guppy in the late 1990s. Only Airbus operates this aircraft, and it has 5 in its fleet. They will be replaced by the A330 modified Beluga XL in 2020. A common sight for aviation enthusiasts until Mid-2000. 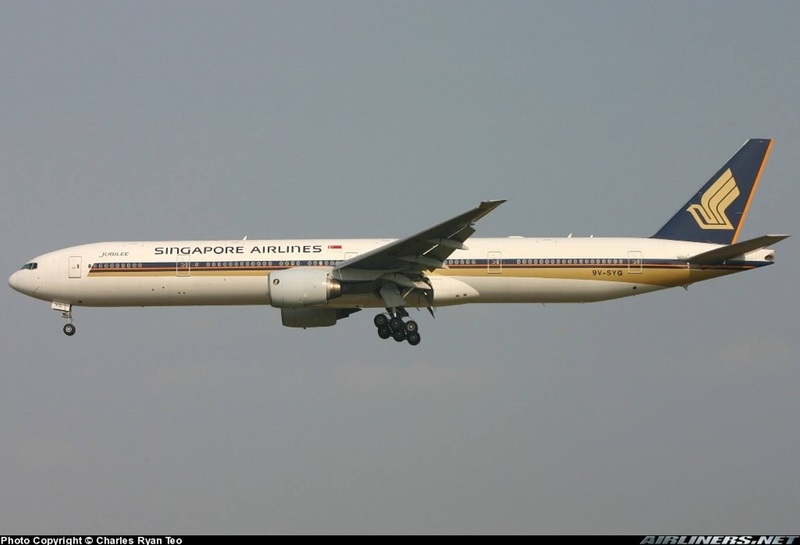 Its an aircraft type that is appreciated by many especially Singapore Airlines operated this aircraft type for a period of time. This is Air India's retired Airbus A310-300. 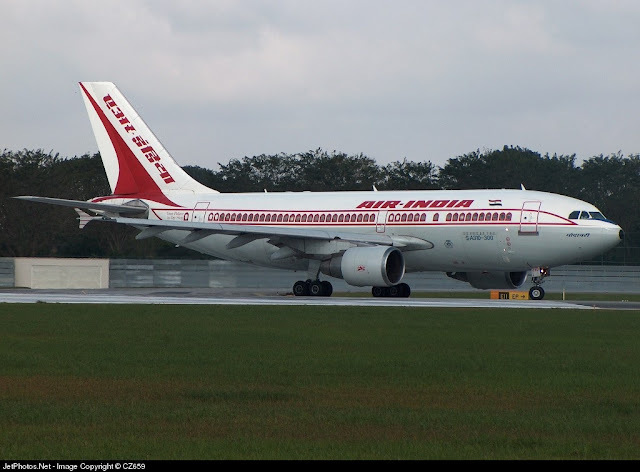 The airline has replaced this type with Airbus A330 and Boeing 737-800 (Air India Express). The Airbus A310 has 2 types, the -200 and -300 series. The -200 series is easily recognized with the wing without the wing fence. In June 1978, Airbus launched the Airbus A310. Lufthansa and Swissair were the launch customers for this type and they also helped in the technical specification of this aircraft type. 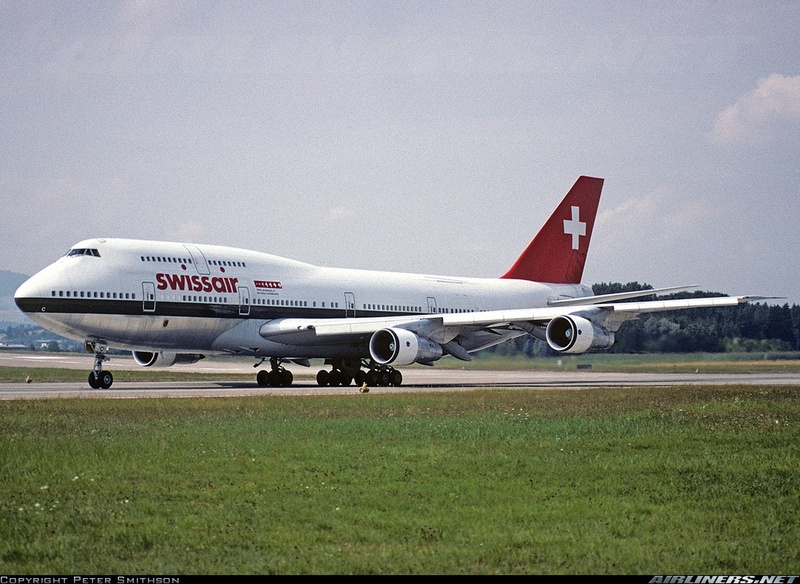 Swissair became the launch customer of this type, followed by Lufthansa. 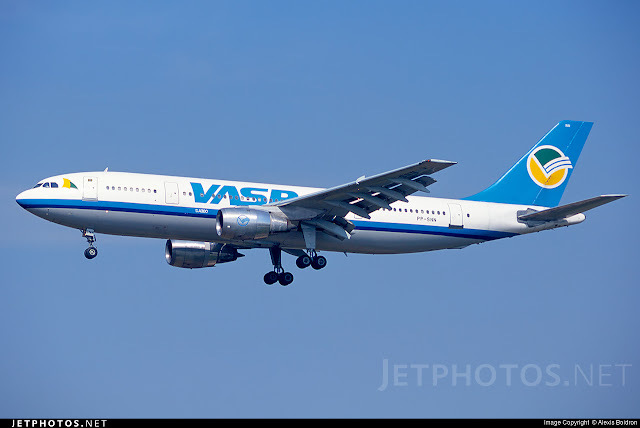 The range of this aircraft is better than the A300 with the exception of the Airbus A300-600R and more orders of the A310-300 came. One advantage for Airbus A300 and A310 operators is it shares a common cockpit, and pilots are allowed to operate both types under one certificate. This is the CEO version (Current Engine Option) What's the difference between this and the A320 NEO (New Engine option)? The engines. 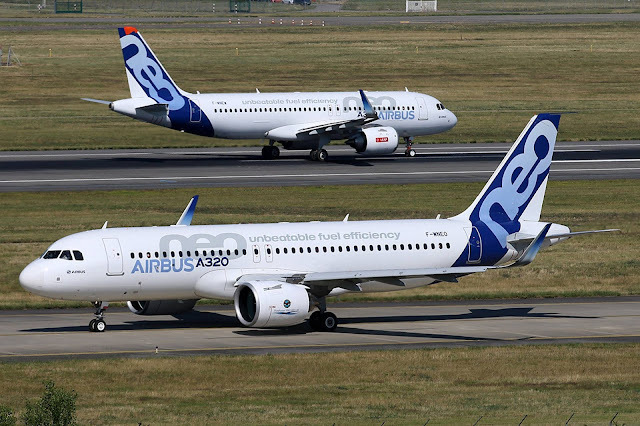 The A320 'CEO' consists of A318, A319, A320, and A321. The engine options are CFM56 and IAE V2500. Currently, there is only a passenger version of this aircraft type. 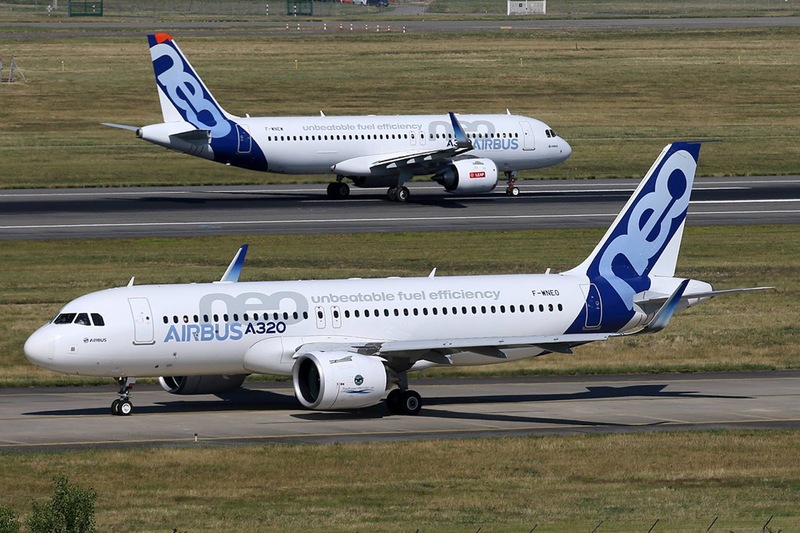 The A320 'NEO' consists of A319, A320, and A321. 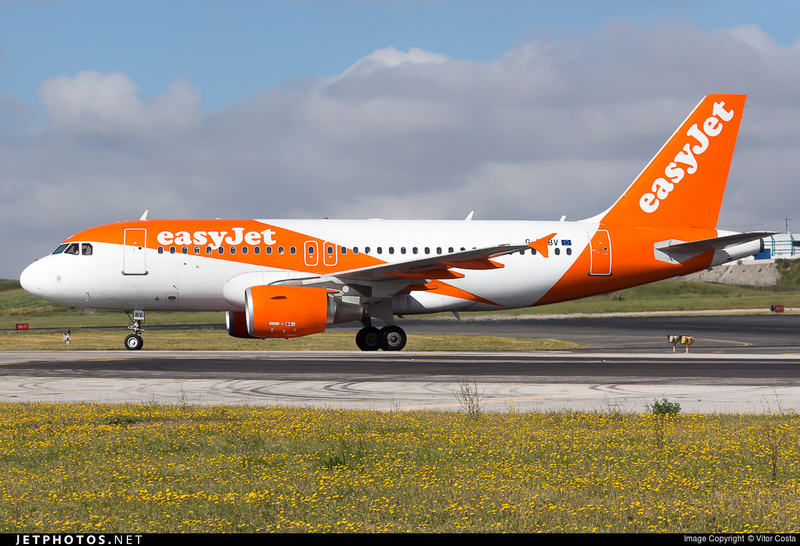 The A318 is not offered due to the lack of demand for the aircraft type. The smallest aircraft in the A320 family. Pratt and Whitney engine powers only the Airbus A318 for the CEO family. The other engine option is CFM56. 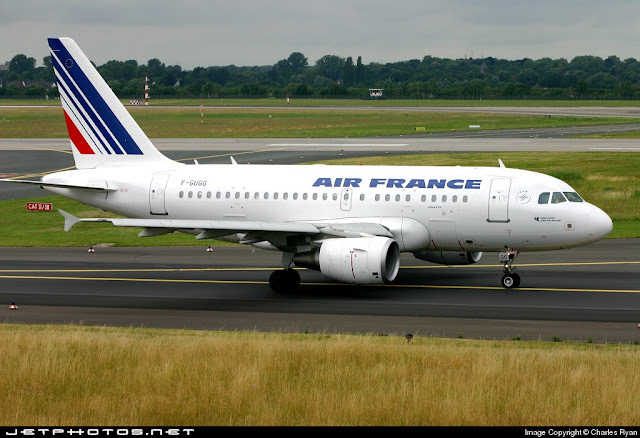 This is Air France's Airbus A318 powered by CFM 56-5B/8P. 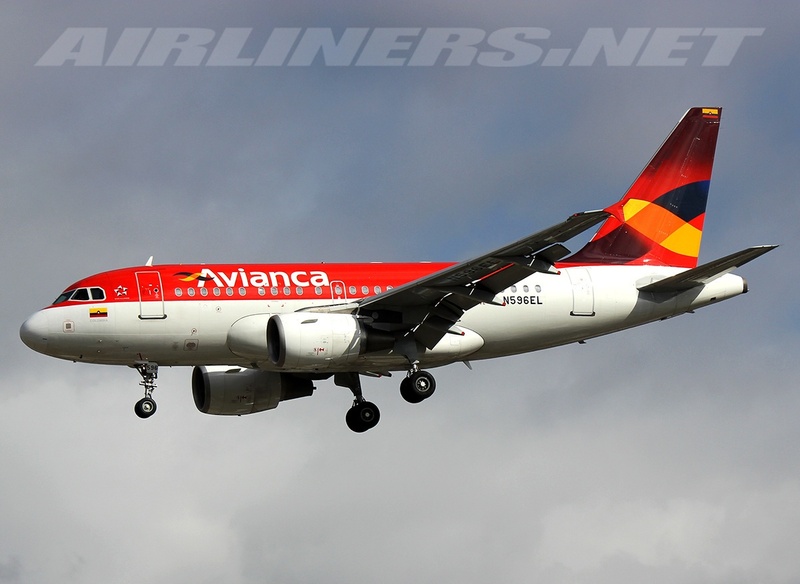 This is Avianca's Airbus A318 powered by PW6122A engines. 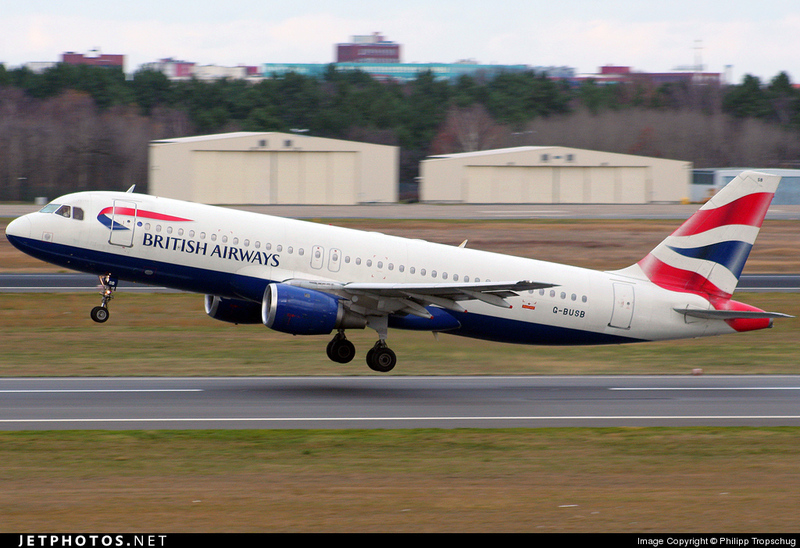 This aircraft is slightly longer than the A318 and can fly the furthest among the A320 family. 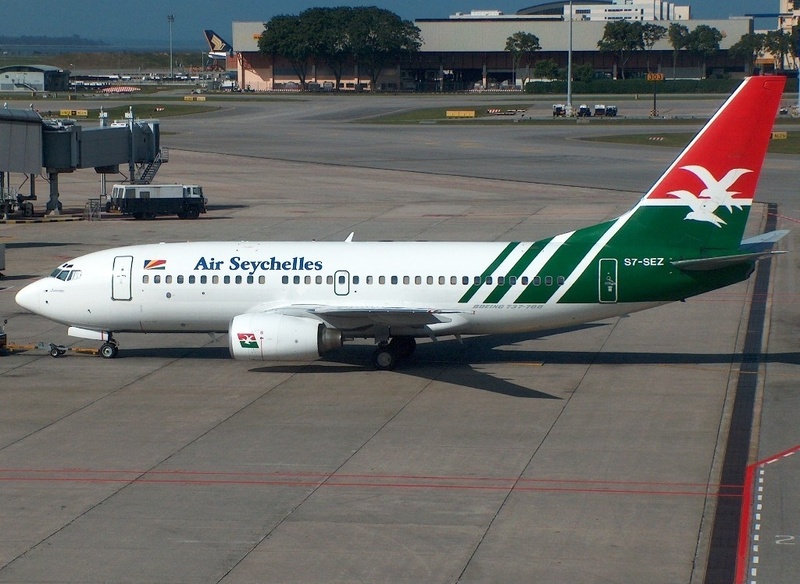 This aircraft, along with the Airbus A320 and A321 have 'sharklets' available for both existing and new aircraft, depending on the airline's needs. 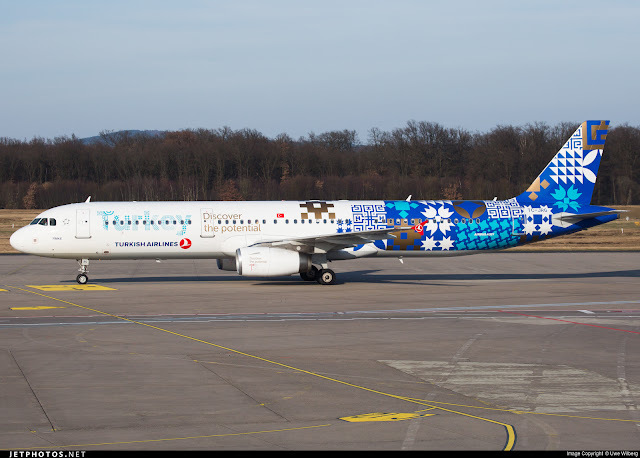 Swissair is the launch customer of this aircraft type. 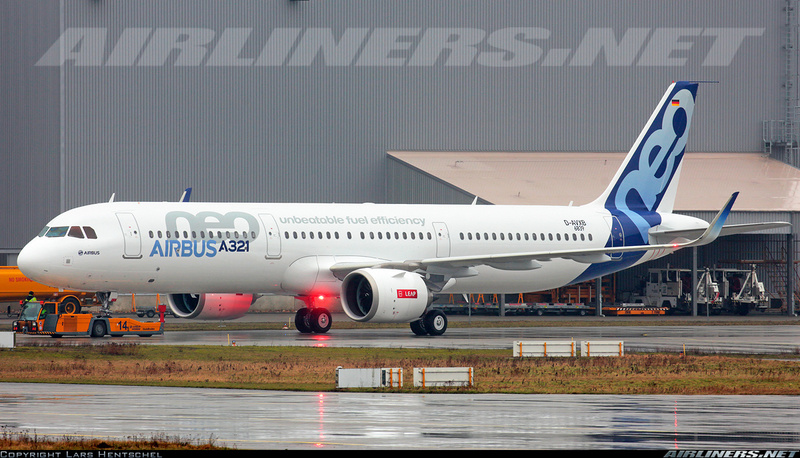 Airbus A319/A320/A321's engines are offered by CFM C6 and IAE V2500 engines. 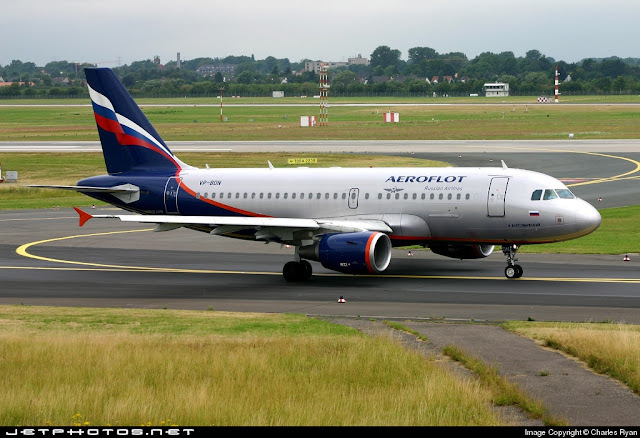 This is Aeroflot's Airbus A319. This fuselage is slightly longer than the A318 and has a shorter tailfin. Easyjet's A319 has 2 emergency windows above the wing. This aircraft (below) is fitted with IAE-V2500 engines. This is SAS's 'retro' livery, one of the many special schemes out there. Do look out for my blog post on this topic. The Airbus A319LR and A319CJ have no difference in appearance compared to the standard A319. 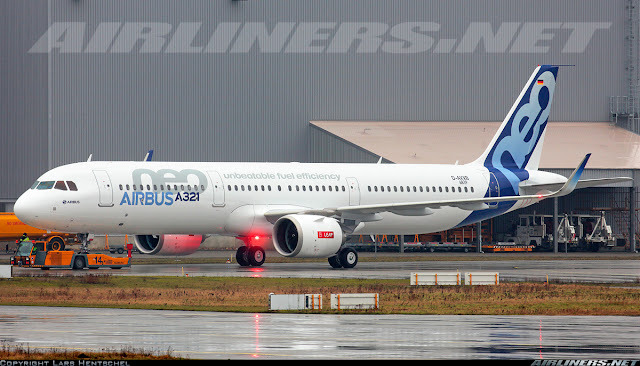 This is the most popular type among the A320 family, it is a very popular aircraft among the small and big airlines, it has proven to be one of the best sellers for Airbus and it looks likely to stay that way even with the intense competition from Boeing's 737 MAX aircraft. Airbus A320 has 2 versions: -100 and -200. -100 has no wingfence and has lesser range than the -200. The -200, on the other hand, is more popular. The launch customer of the Airbus A320 is Air France. Airbus A320 has 2 overwing emergency windows. Fuselage length is longer than the A319. This is LTU's Airbus A320-200. (With Wingfence) Recognize this football club, football fans? 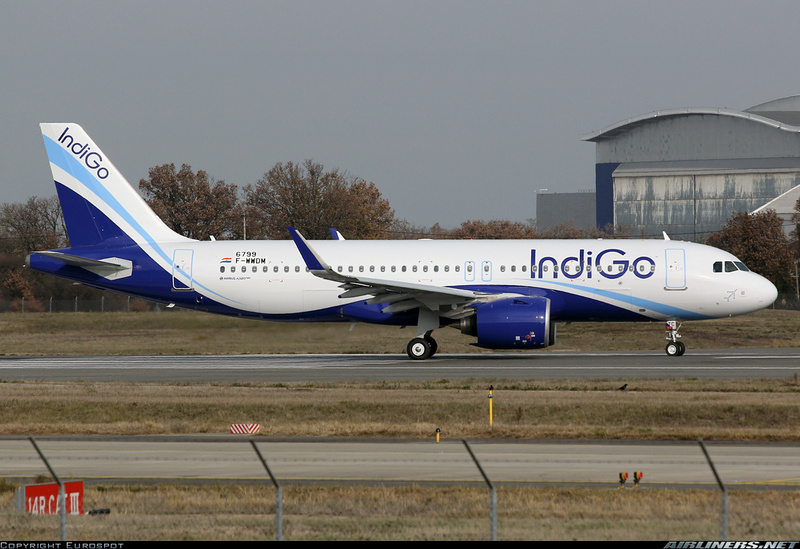 Indigo Airlines Airbus A320 NEO is undergoing lots of test before delivery to the airline. This is the longest version of the Airbus A320 family. 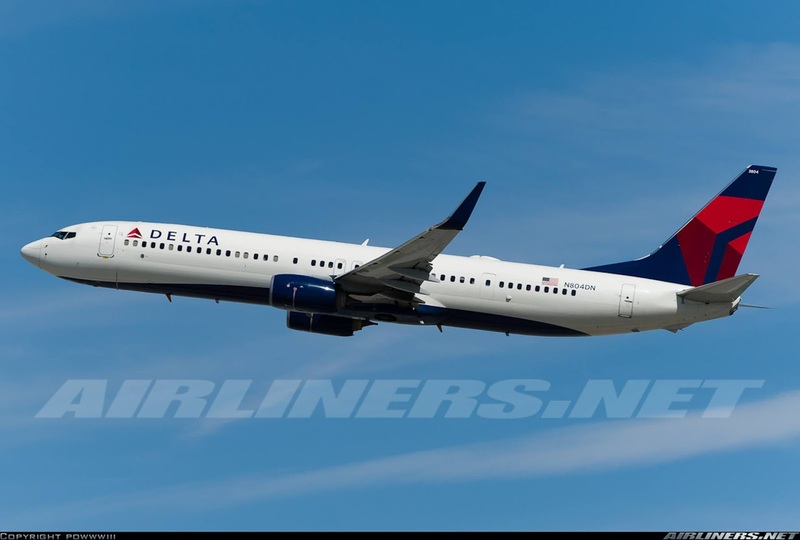 It is getting more popular with airlines especially when there is no true 757 replacement, this aircraft is the closest it gets especially with the newest version, the Airbus A321LR (NEO) LR stands for Long Range, and that aircraft won't be out until 2016 the earliest. 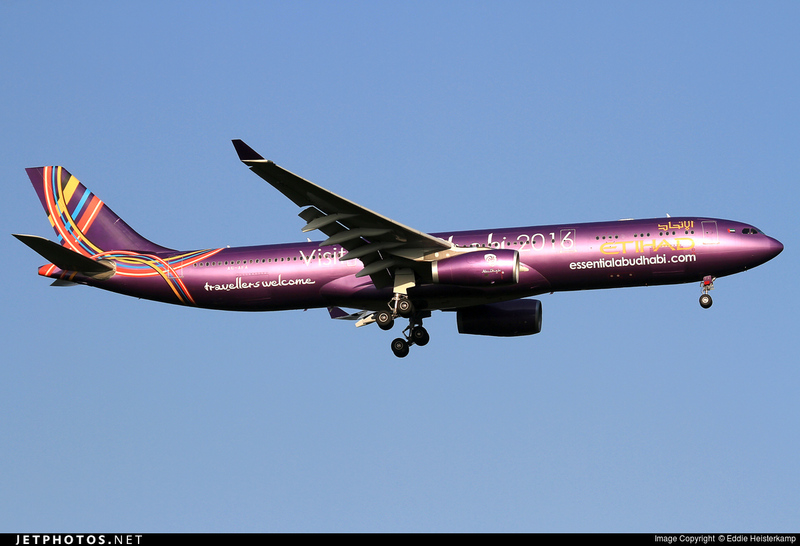 Range: 5,600 km for wingfence equipped A320 and 5,900 km for sharklets equipped A320. There are 2 versions; the -100 and -200. The -100 has a lesser range and lighter than the -200 series. 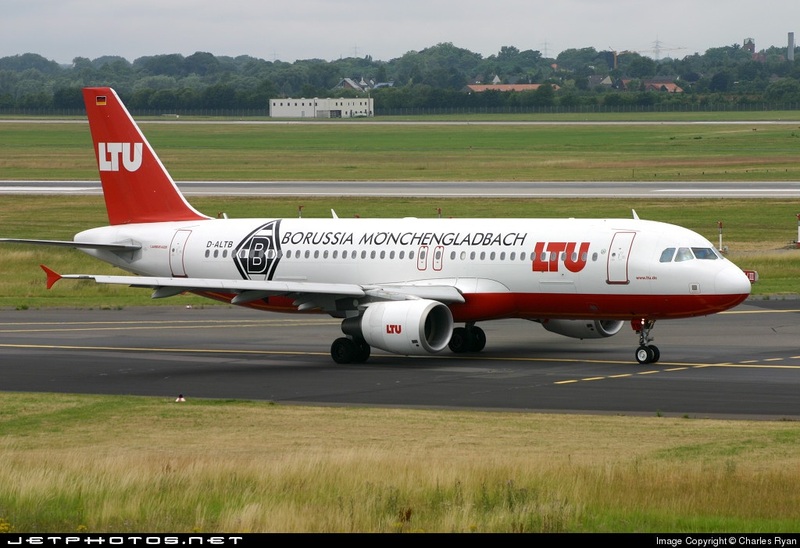 The launch customer for the A321 is Lufthansa. 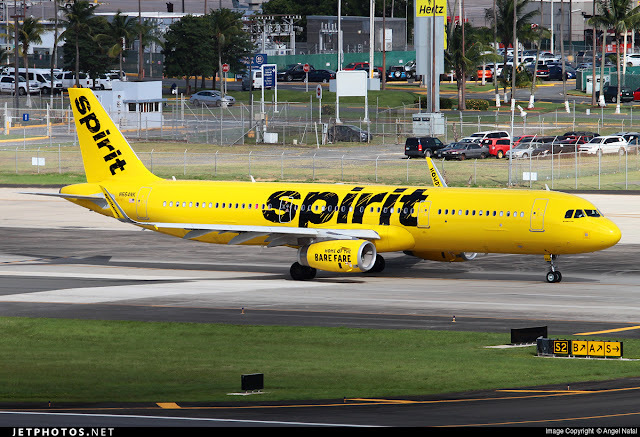 This is Spirit's Airbus A321 fitted with 'sharklets'. 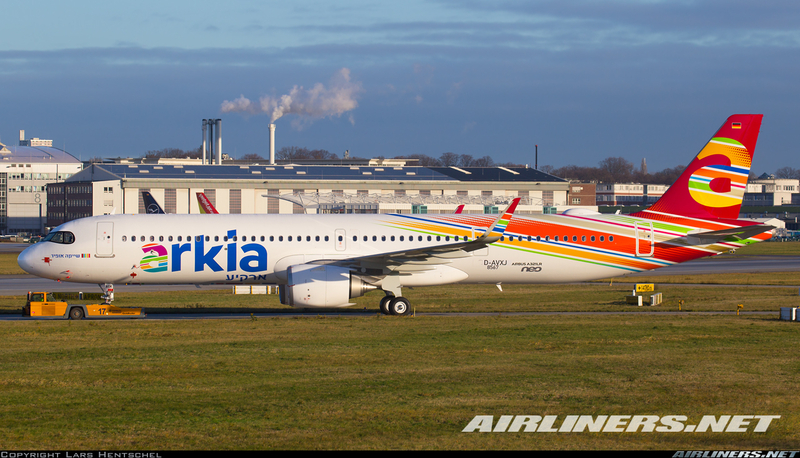 This is the Airbus A321LR , Arkia is the launch customer of this variant. 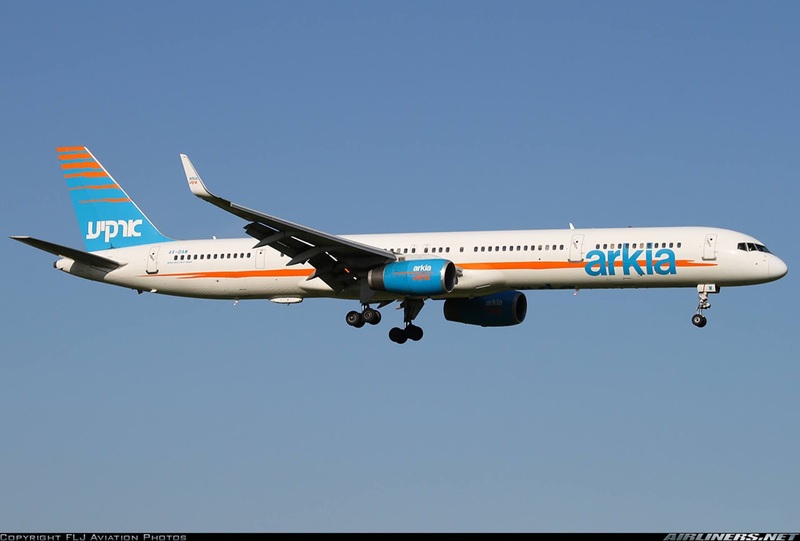 Many Boeing 757 operators requested for a Boeing 757 replacement and Airbus answered with this aircraft and the A321XLR which can fly even further. For the latter, it is planned to compete with Boeing's new aircraft, the Boeing 797. 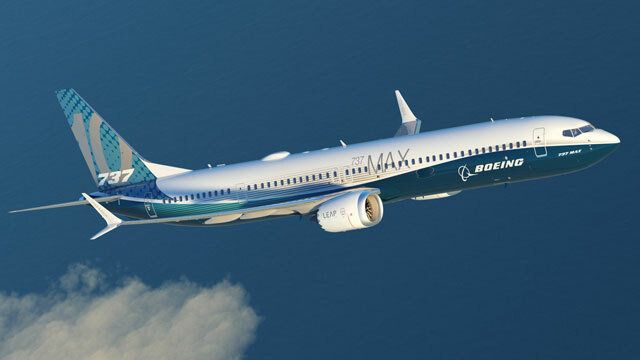 For now (April 2019), Boeing has to deal with the 737 MAX issue, so once that is sorted out, I believe the Boeing 797 will be announced after that. This aircraft is the successor for the Airbus A310 and built to compete with the Boeing 767 and Boeing 777. 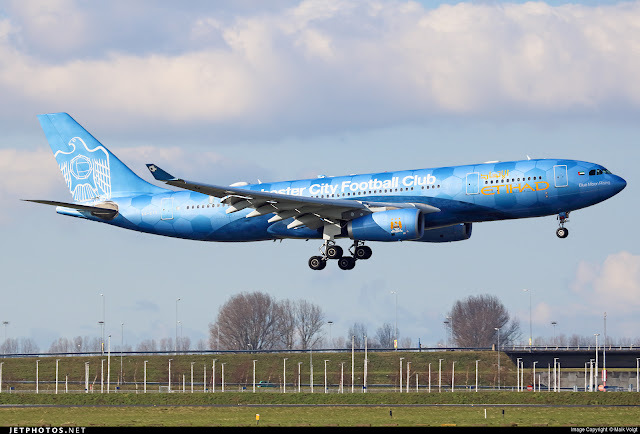 The capacity is smaller than the Boeing 777 so I would say its more of a 767 competitor and the new Airbus A330 aircraft competes with the Boeing 787-8 and -9 aircraft, the only thing is it lacks the range compared to the Dreamliner aircraft. 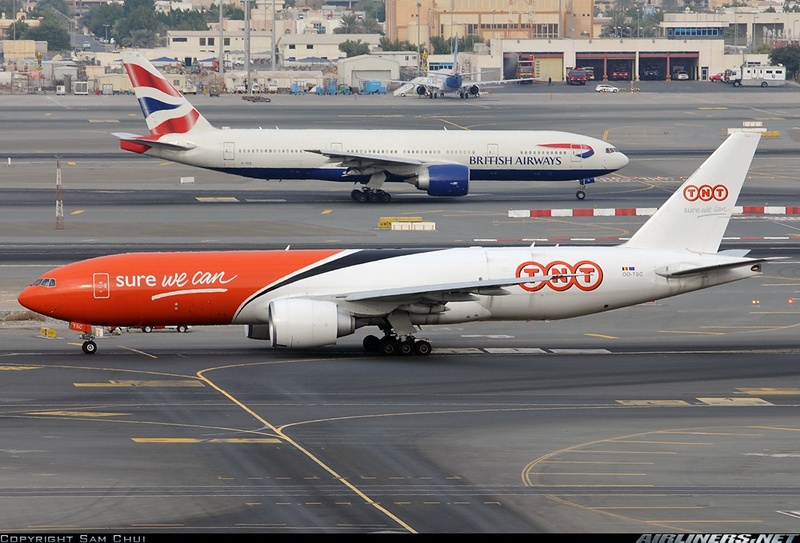 How to recognize the difference between the A330 and A340? Very easy - the number of engines. The A330 has 2 engines while the A340 has 4 engines. Airbus A330-200 has a freighter version, but unfortunately not much demand for it. 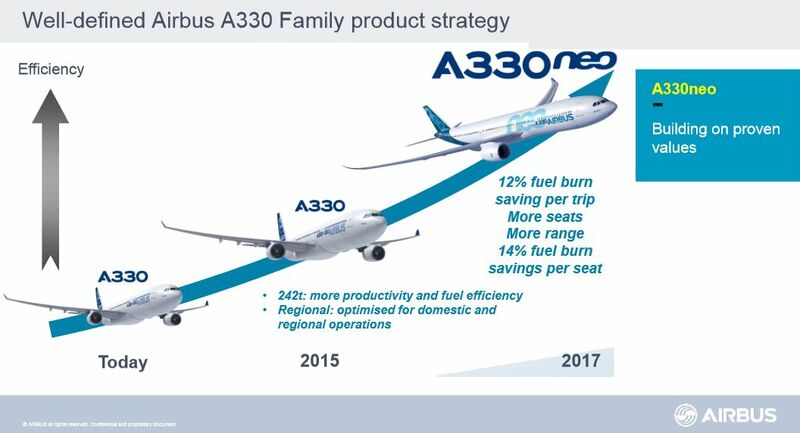 Airbus announced the Airbus A330 NEO (New Engine Options) and the difference is the new engines that offer better fuel efficiency and higher weight body which allows the aircraft to fly further than the current A330s. 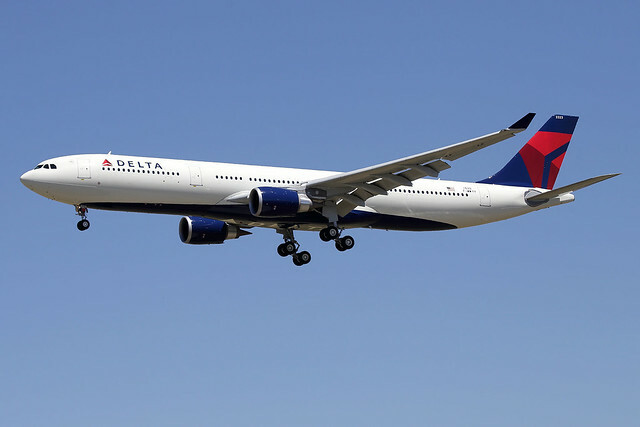 In fact, Delta Airlines is already flying on the 242 tonnes A330-300, that offers around 500 nautical miles more than the current A330-300. This is the smaller version of the A330 family, but it can fly longer distance than the -300 series. 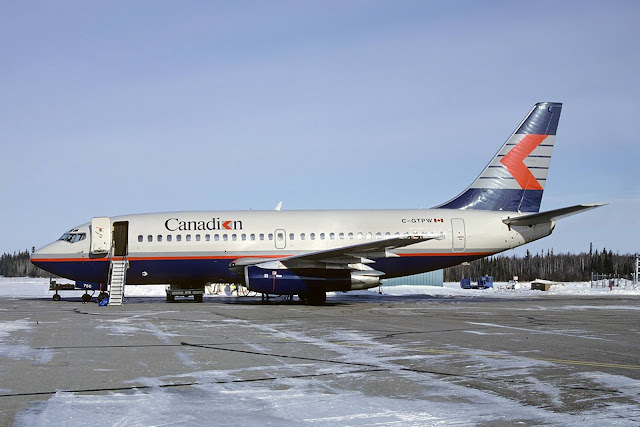 The launch customer for this type is ILFC, a leasing aircraft company which then leased the first aircraft to the defunct Canada 3000. Can you spot the difference between the engines? 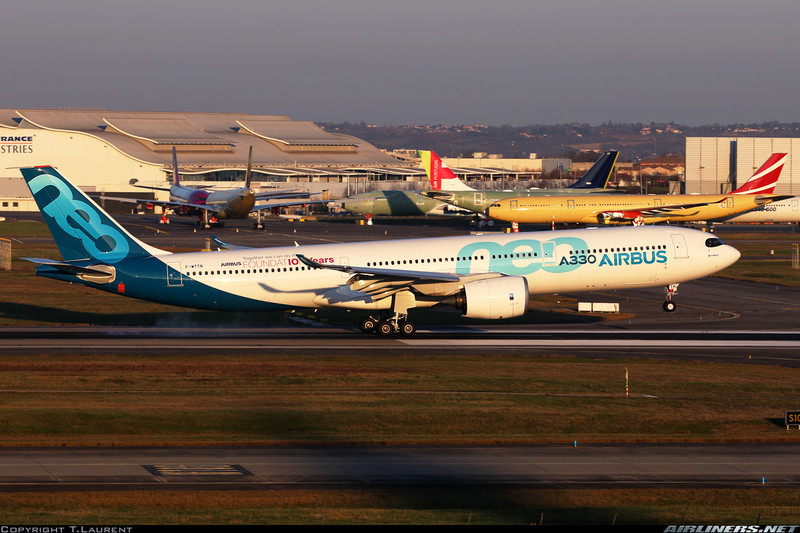 Airbus decided to launch the Airbus A330-200F to compete against Boeing's 767 but its success is limited. 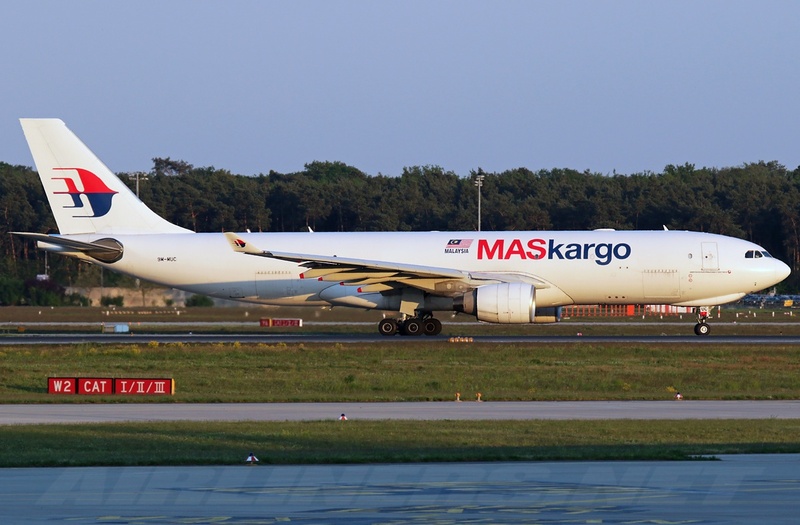 Malaysia Airlines Cargo A330-200F fitted with PW4000 engines. Turkish Airlines Cargo's Airbus A330-200F is fitted with Roll Royce Trent 700 engines. Notice the hump at the front landing gear? 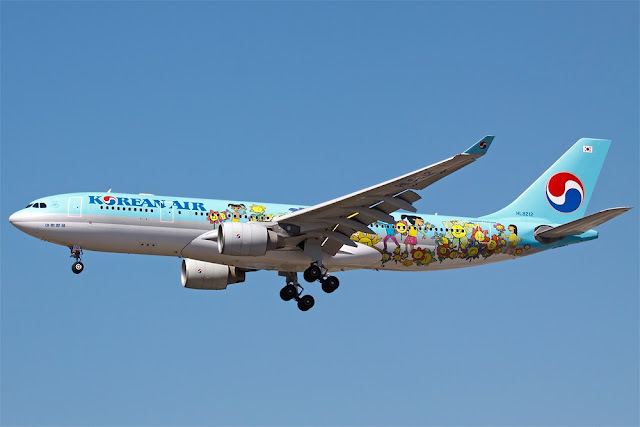 The normal A330-200 undercarriage is used, but its attachment points are lower in the fuselage, thus requiring a distinctive blister fairing on the nose to accommodate the retracted nose gear. Reason for this is to ensure a level lower deck while loading or offloading cargo. The Airbus A330-300's fuselage is longer, notice the first door to the second door from the cockpit. There are more windows between the two doors on the Airbus A330-300. Northwest Airlines (Defunct) Airbus A330-300 equipped with PW4000 engines. Delta Airlines' 242 tonnes Airbus A330-300. All NEO aircraft will be based on this HGW (High Gross Weight) configuration. This is N823NW. Photo is credited to Gimbellet. From the appearance, you can't see any difference. This new batch of Airbus A330 is launched to replace the current version of the Airbus A330. 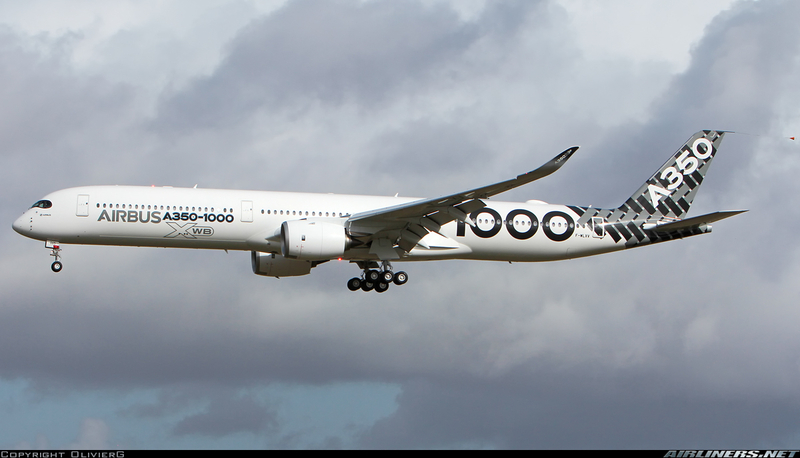 The Airbus A350 is larger in capacity and only the -800 comes close in terms of capacity. Some airlines have requested for Airbus to come out with an improved version of the A330 with newer engines and so Airbus did just that. The A330NEO consists of the A330-800NEO and the A330-900NEO. Only Roll Royce will power this aircraft series. Roll Royce has come out with the Roll Royce Trent 7000 engines as a replacement for the Trent 700. Other improvements of this aircraft type would be winglets similar to the Airbus A350, longer wingspan, and new engine pylons. The Airbus A330NEO should enter revenue service in 2017-2018 if everything goes to plan. This aircraft was built to be the successor of the Airbus A300-600ST. 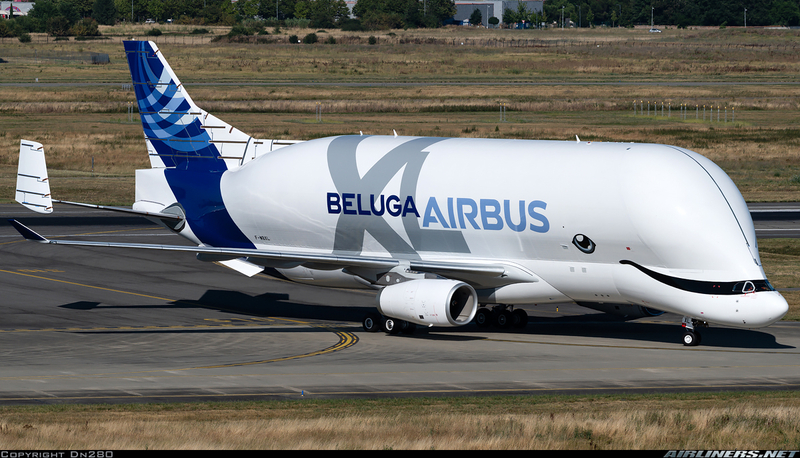 The aircraft is currently in test phase and will start replacing the older generation Beluga in late 2019. Airbus A340 consists of 4 different types: -200, -300, -500 and -600. 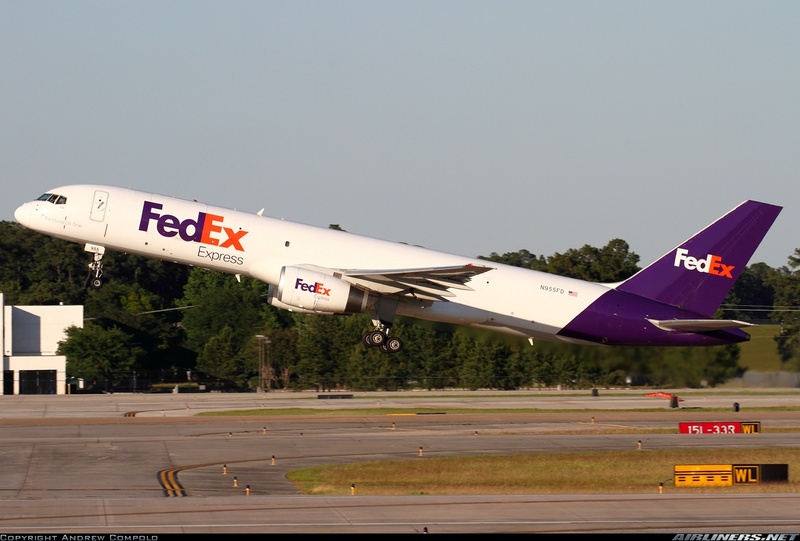 A340-200 and -300 are powered by CFM56-5C while A340-500 and -600 are powered by Roll Royce Trent 500 engines. Airbus built the Airbus A340-200 and -300 for long haul routes but it has not been quite successful it wants the aircraft to fare especially against Boeing's 777 product. The performance of the aircraft is quite poor and it burns more fuel than the other aircraft with a similar mission (long haul). This aircraft seats lesser than the Boeing 777 and that makes its Cost per Available Seat Mile (CASM) higher and more expensive to operate. Therefore, airlines are replacing them with the more efficient Airbus A330, the Boeing 787 or the Boeing 777. 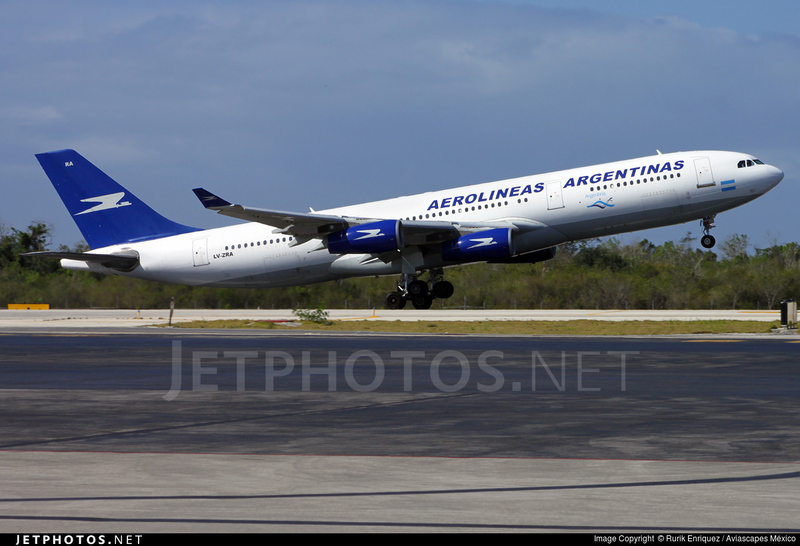 Aerolineas Argentina's Airbus A340-200 taking off with those CFM-56 engines, same as the -300. 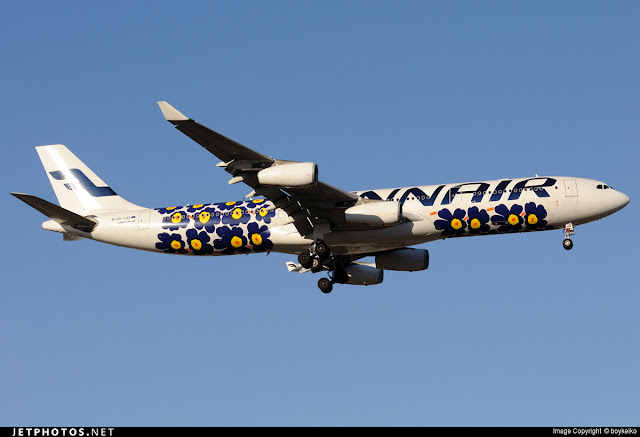 This is Finnair's Airbus A340-300 (Special livery), the length of the fuselage is slightly longer. Airbus built the Airbus A350 to compete with Boeing's 787 Dreamliner and the Roll Royce engines is the sole supplier for the A350 while the Boeing 787 has both General Electric and Roll Royce engines to offer for this customers. 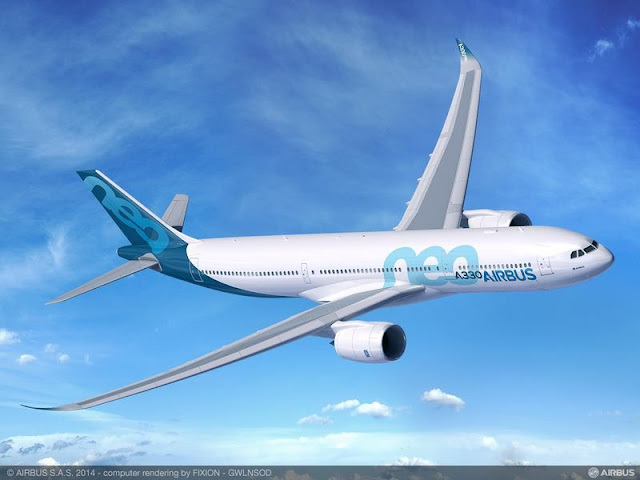 The manufacturer initially offered the -800, -900 and -1000 but after announcing the Airbus A330NEO, the -800 is more or less canceled and airlines who ordered that aircraft type changed its order to other types. Currently, the Airbus A350-900 is in service while the -1000 will only be in service in 2017. Roll Royce XWB engines are the sole engine supplier for this aircraft type. 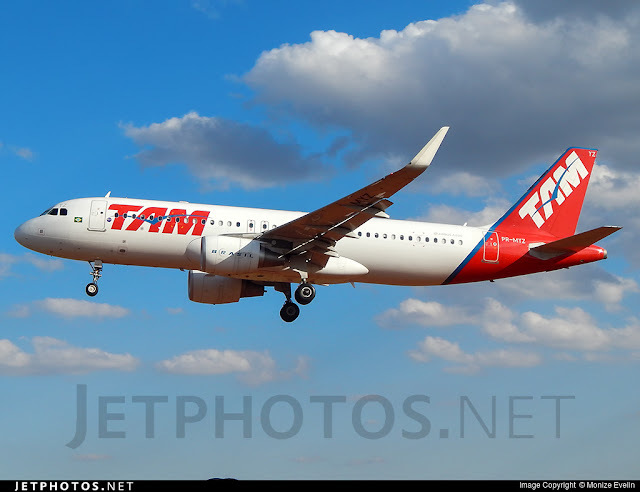 The beautiful livery of TAM Airlines, the first Latin American Airline to operate this aircraft type. This is the Airbus' colors for the Airbus A350. It did some air show performance. 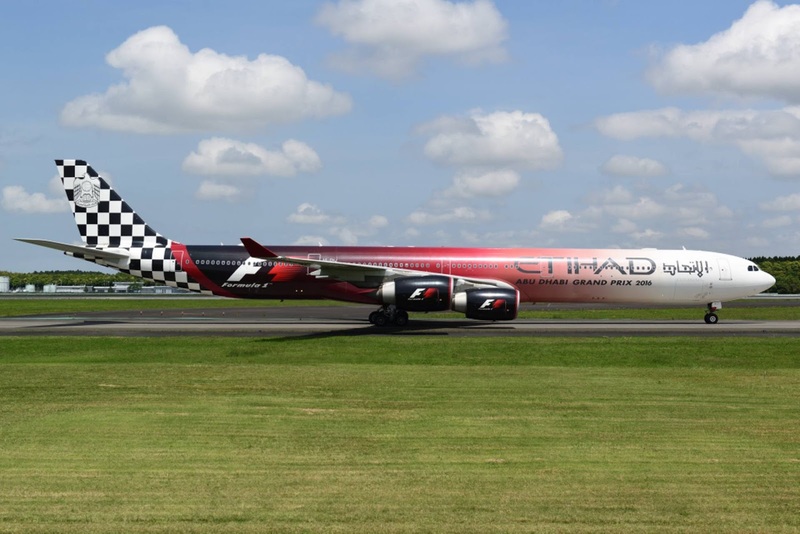 What do you think of the livery? 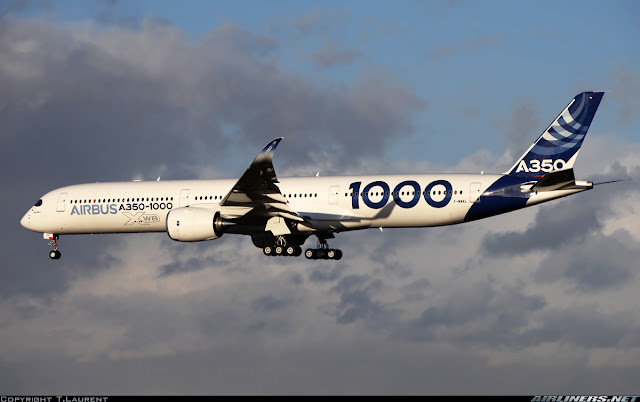 This is how the A350-1000 looks like. This aircraft is not built yet and will be starting production in late 2016. 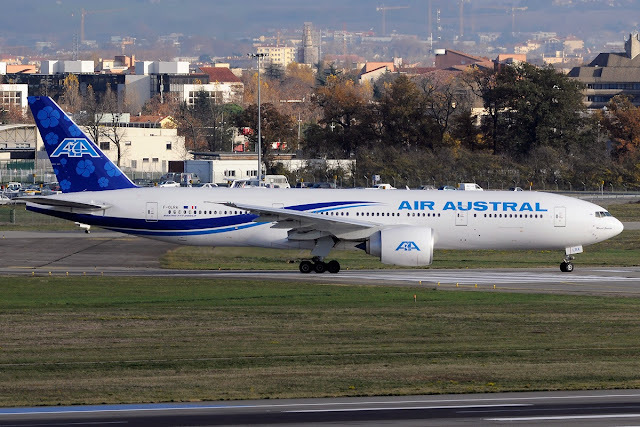 This aircraft has an 11-frame stretch over the -900 and will compete with Boeing's 777-300ER and 777-9X. Like the -900, only Roll Royce XWB engine is offered on this aircraft. The launch customer of the Airbus A380 = Singapore Airlines powered with Roll Royce Trent 900 engines. Unfortunately, the Airbus A380-800F was canceled after UPS and FedEx canceled the A380 order in favor of smaller cargo airliners such as the Boeing 767-300F and the Boeing 777 Freighter. This is the first generation aircraft built by Boeing starting from the year 1954 and is a rare sight in today's skies. 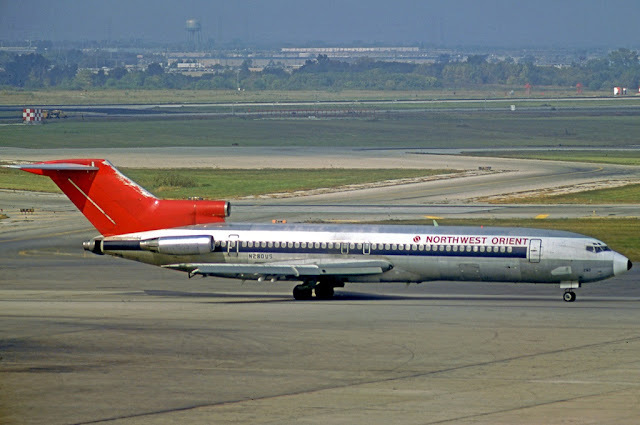 This aircraft is the first jetliner from Boeing and is built to compete with the likes of DC-8, Caravelle and Comet (This aircraft didn't last long). The Boeing 727 and 737 have similar cockpit nose with this aircraft. 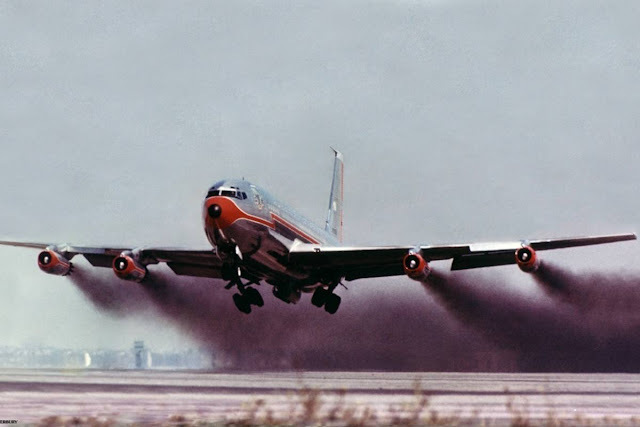 This is an example of the Boeing 707, easily recognized by the Antenna on the tail's fin and the 4 tiny engines by Pratt and Whitney. The engine, JT3D was the first generation engines and needless to say, it was very noisy and smoky during take off. The water injection for its engine is to improve its takeoff performance. The famous Pan Am sadly has disappeared from the skies. This is the airline's Boeing 707 in its glory days. Talking about being environmentally friendly, this is definitely not! Look at the amount of smoke these Pratt and Whitney engines giving out! Comparing with today, it is a great improvement, thanks to the engine manufacturers and technology. This is American Airlines Boeing 707-100 series. According to Charlie Atterbury, the aircraft struggled to take off in this warm late morning in 1960. This is the only aircraft in Boeing 7*7 series that is not designed or built by Boeing. 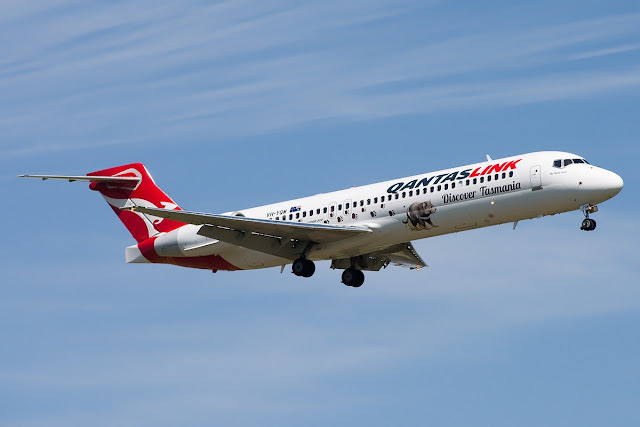 It was originally built by McDonnell Douglas and was originally designated for MD-95 but Boeing bought over this company and subsequently this aircraft was renamed to Boeing 717 and eventually production of this and the MD-11 was shut down. The Boeing 717 is a rival of Airbus A318 and Boeing 737-600. Since it is a rival of its own product, Boeing 737-600, it makes sense for Boeing to shut down the Boeing 717 production and that put an end to McDonnell Douglas aircraft. Deliveries continued until to the very last aircraft on order. Sad day for aviation but life goes on! 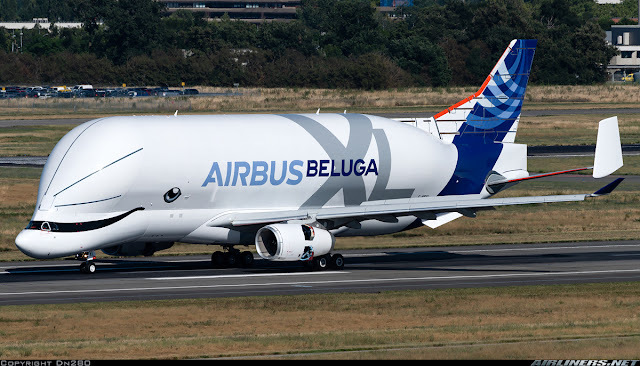 This aircraft is unique compared to the other aircraft. Its the only model that is powered by BMW-Roll Royce BR-715 engines. This aircraft was built in the early 1960s and made its first flight on the 9th February 1963 with the -100 series. The Boeing 727 comes in 2 series, the -100 and -200. 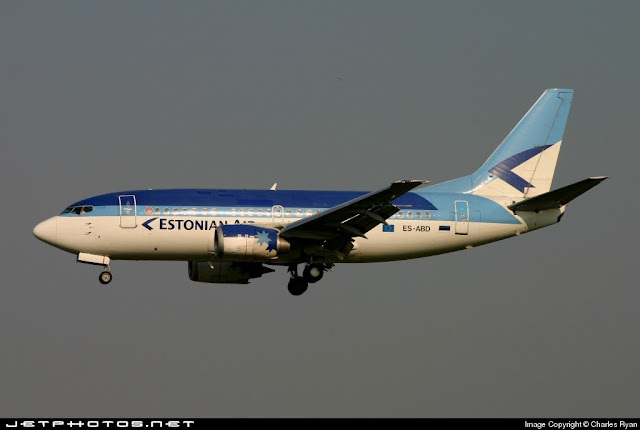 A planned -300 didn't take place and instead, the existence of the Boeing 737 came about not too long after. This aircraft is the only T-tail jet built by Boeing and operates with 3 engines and only Pratt and Whitney JT8D engines powered this aircraft. What you see these days is only the -200 version, especially the Freighter version. As for the passenger version, its a rare sight along with the -100 version as there are more economical aircraft available. The difference between the -100 and -200 is quite obvious. The length of the aircraft and the more powerful engines on the -200 series. 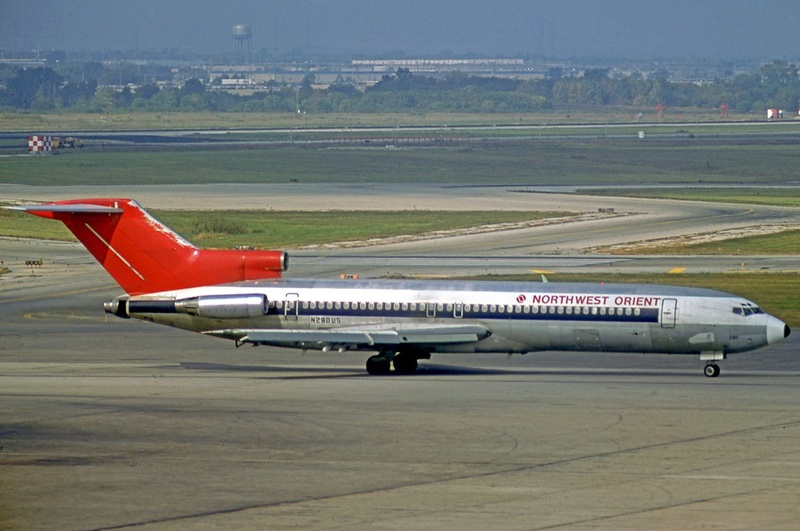 Remember Northwest Airlines? 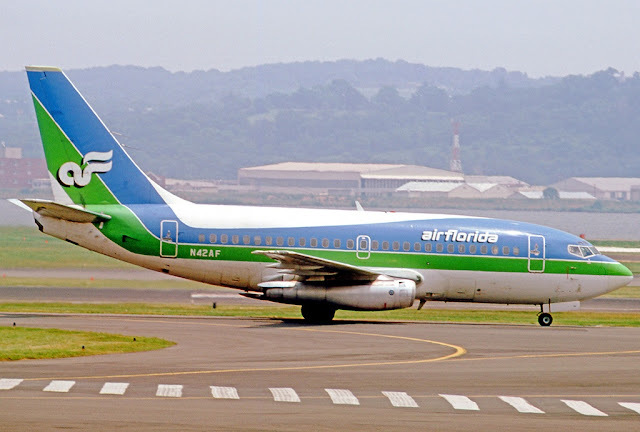 This is during its glory days, now they have disappeared from the skies after taken over by Delta Airlines. Notice the difference in length between the -100 and -200? 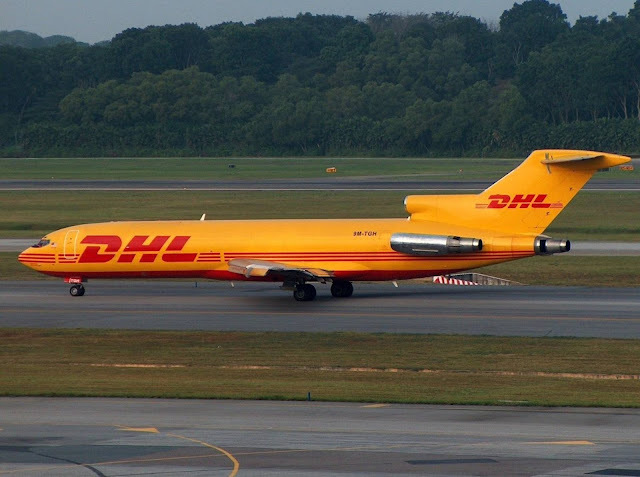 This is DHL's Boeing 727-200F, I caught it in Singapore in the mid-2000s when the old viewing mall in Terminal 1 was around. The Boeing 737's first flight took place in 1967 with the -100 and -200 as the 737 became one of Boeing's most successful aircraft in its history. 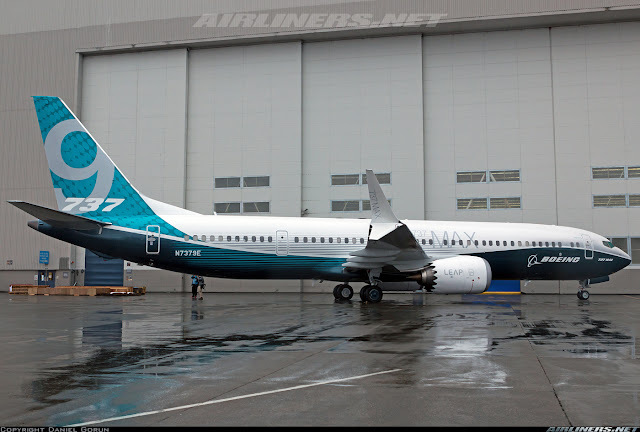 The production of the 737 is still continuing till this day, with the NG and the upcoming 737 MAX. The 737 was built to compete with Douglas' DC-9 with the -100 and -200 and we can say its been quite successful doing so. With Airbus entering the competition in the 1980s, the need to improve and upgrade its own product is a must, and the 737 Classics (-300,-400 and -500) were replaced by the 737 NG (Next Generation) (-600, -700, -800 and -900). The Boeing 737-900ER was launched later on, but unfortunately this aircraft type wasn't able to replace the Boeing 757 and as a result, it loses out to the Airbus A321 especially with the A321LR NEO (Long Range, New Engine Option). Whatever it is, Boeing has created a fantastic product in the Boeing 737 and will continue to do so with the 737 MAX. 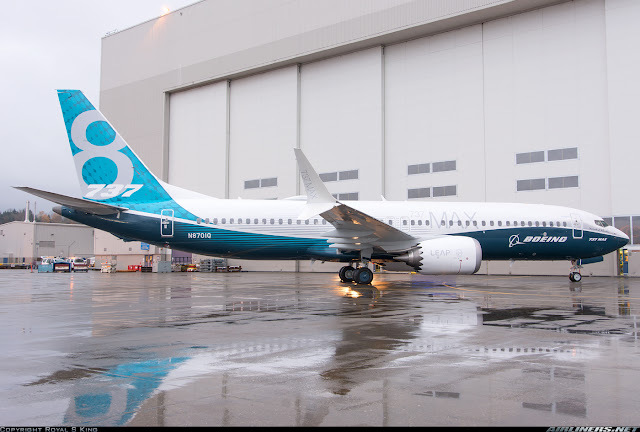 This is the Boeing 737 MAX - these aircraft are 737NG's (-600 to -900ER) replacements. 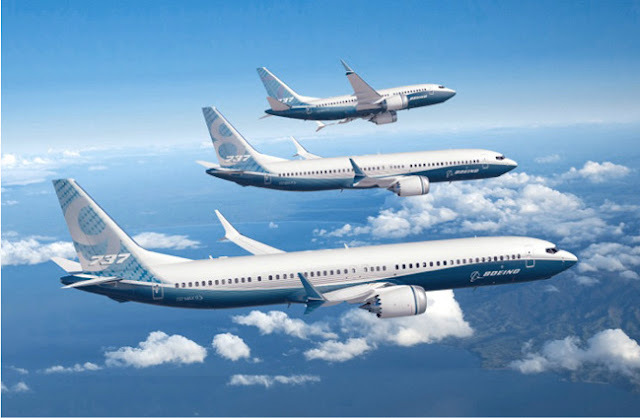 The Boeing 737-100 and -200 are easily recognized by its tiny engines and the difference between these two aircraft is the length of the aircraft and the -200 can fly further than the -100. This is the Boeing 737-100 which only a handful of it is still flying, not for passengers service though. Boeing built the -300, -400 and -500 from the early 1980s and they were meant for 737-100 and -200 replacement along with the DC-9s. The significant changes to this 737 Classics comparing to her older sisters is the engine and the tail design, can you spot the difference? The 737-300/-400/-500 are powered by the more powerful CFM-56 engine which also ended up powering the NG (Next Generation) and will also power the 737 MAX. The -300 and -500 have only one over-wing emergency window while the -400 has two. The -500 series has the shortest fuselage followed by the -300. Estonia Air's Boeing 737-500, look at how short the fuselage is. There are some 737-300/-400/-500 equipped with winglets to improve the performance of the aircraft. Due to the competition and pressure from Airbus A320 and also the Boeing 737 Classics needing an upgrade, Boeing introduced the 737NG in the 1990s. The 737NGs would have redesigned wings, upgraded cockpit, and new interior. CFM56 once again is to be the sole engine provider and it has upgraded its engines to make it more fuel efficient for the 737NGs. I will list the main types, that means the B737-700ER, B737-700C, and the BBJs will not be included. 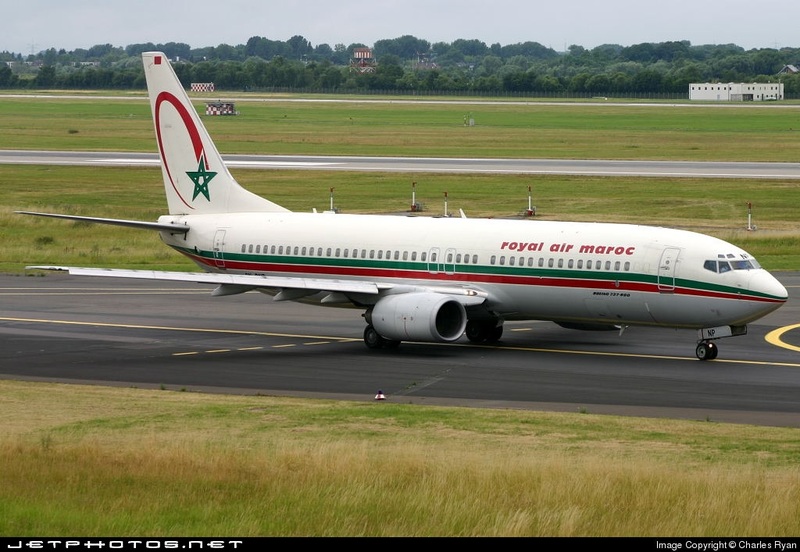 This aircraft is a replacement for the -500 and is a direct rival of the Airbus A318. This is the only NG aircraft that doesn't have the winglets option. Among the 737NG, this aircraft is the least popular and Boeing removed this aircraft from the sales list in 2012, so for the 737-MAX, there will not be a -6 version. 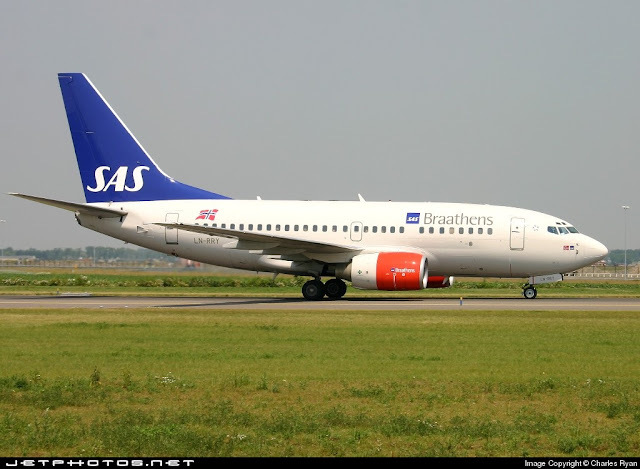 This is SAS Braathen's Boeing 737-600. 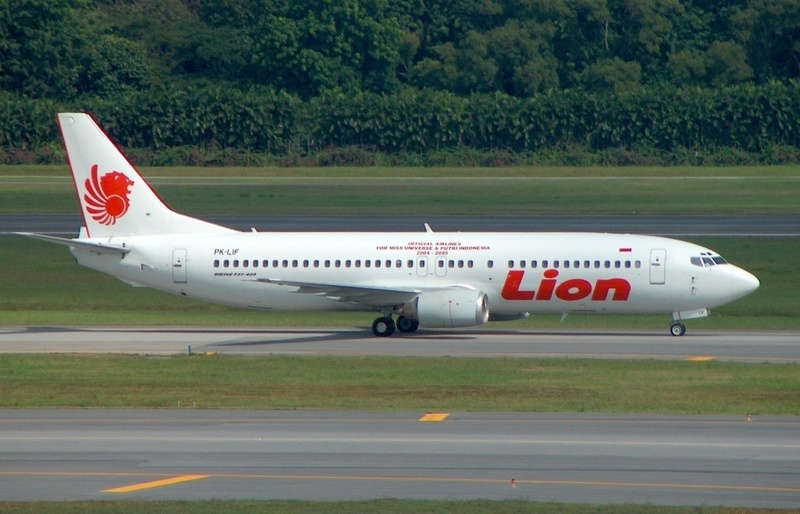 This aircraft has the shortest fuselage among the 737NG family. This aircraft is a direct replacement for the Boeing 737-300 and is a rival of Airbus A319. Like its rival, it can fly the furthest comparing to its siblings. 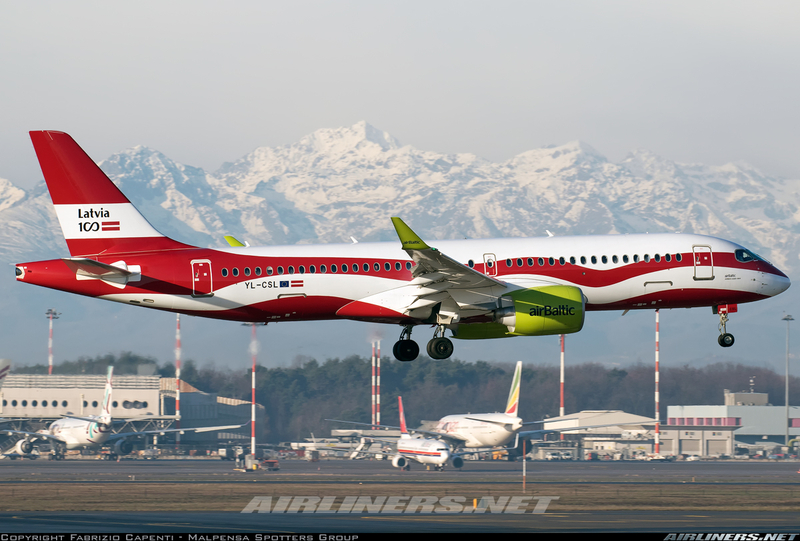 The capacity of the aircraft is slightly longer than the -600 and has the winglets option to improve its performance. The 737-700 also comes with the ER (Extended Range) and the C (Convertible) - Seats can be removed to change to cargo configuration and vice versa. This is the most popular aircraft among the 737NG aircraft; a rival of the Airbus A320 and the replacement for the Boeing 737-400. This Boeing 737-800 has more seats than the -400 and its hugely popular among the Low-Cost Carriers and it has an option for winglets to be installed for either current or new 738s. As you can see there are 2 emergency overwing windows on the -800. The -900 and -900ER also have them. The difference between this aircraft and the -900ER is the extra emergency door on the -900ER which allows a larger capacity than this aircraft. This is needed for emergency evacuation. Therefore the sales of this aircraft type are poor and the -900ER was launched. It is supposed to be a 757-200 replacement but performance of this aircraft isn't close to it and it has also lost out to the Airbus A321 which is the rival. 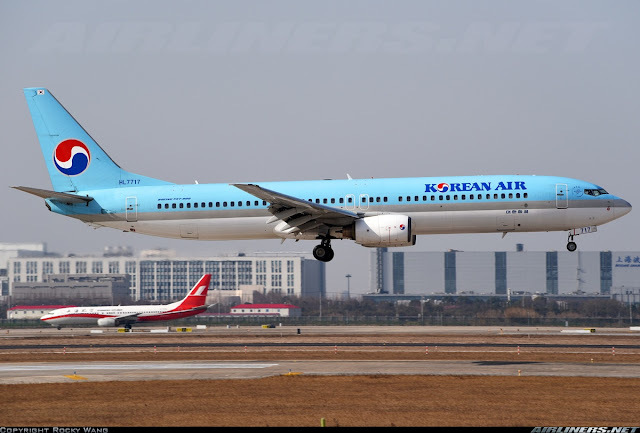 This is Korean Air's Boeing 737-900. Compare this to the -900ER, can you see the difference? 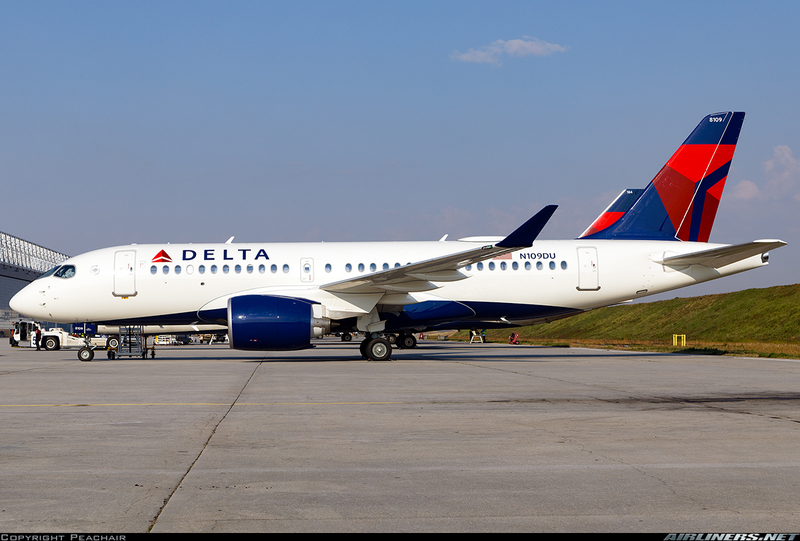 This aircraft was launched to make the 737-900 series more competitive against the Airbus A321 which is flooding in with orders. The improvements of this aircraft over the -900 is the 2 extra exit doors and a flat rear pressure bulkhead (which allows extra capacity), additional fuel tank and equipped with standard winglets. 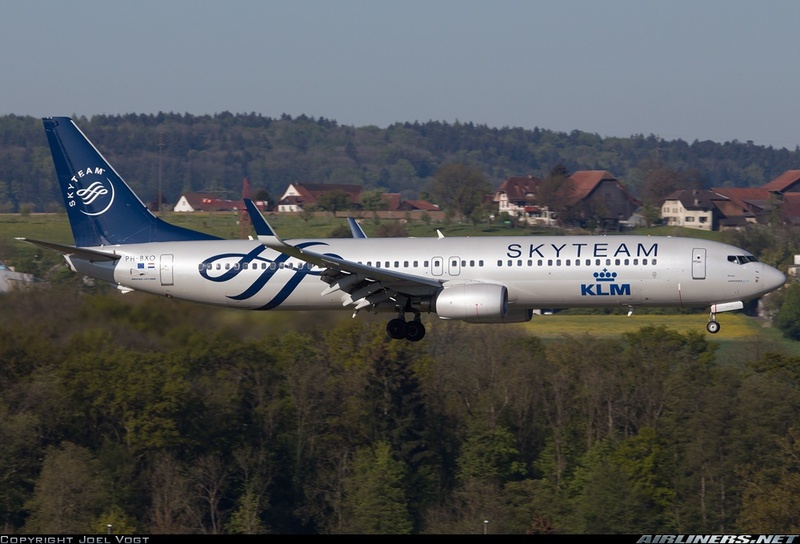 The success of this aircraft is better than the -900 but struggles against the Airbus A321. 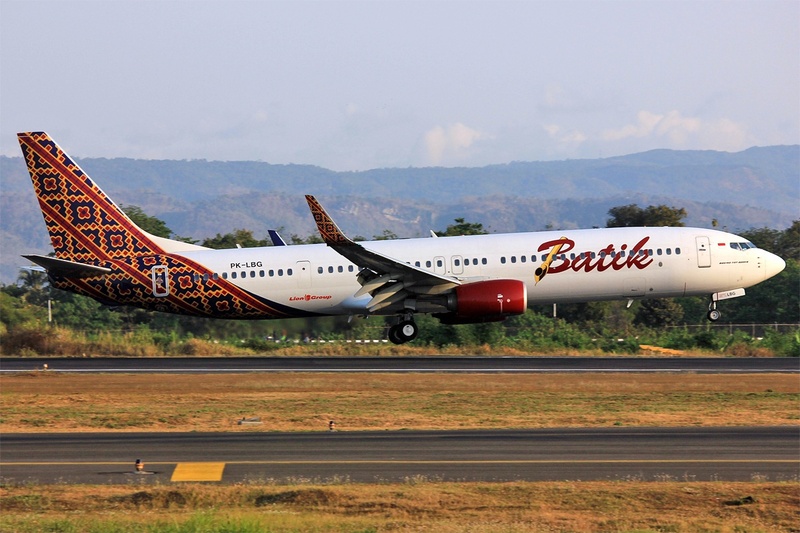 This is Batik Air's Boeing 737-900ER with the standard winglet. 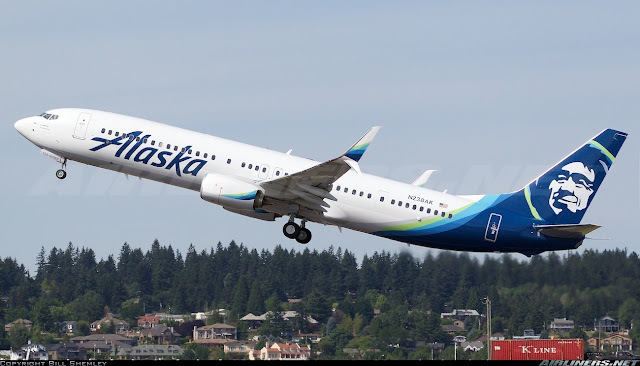 The MAX series is a Boeing 737NG replacement, the MAX series featuring the -8 MAX (Photo below). 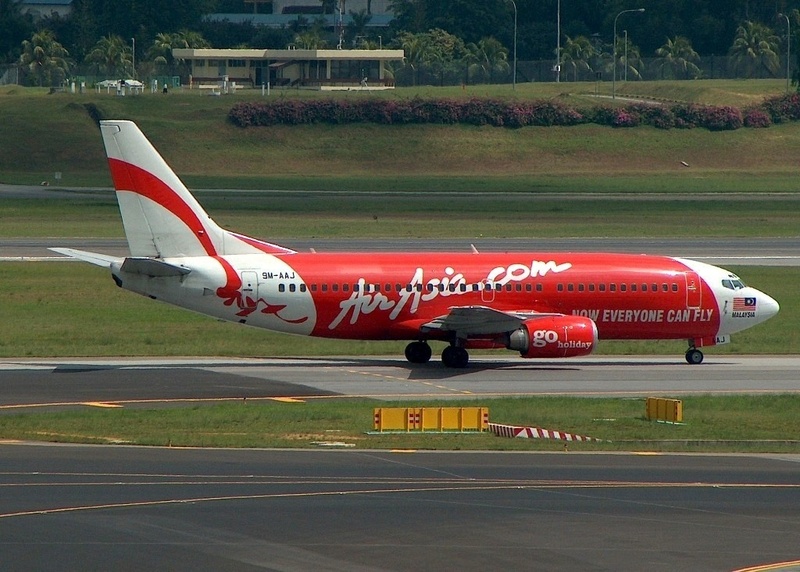 This aircraft is designed to replace the 737-800 and also compete with Airbus A320 NEO. 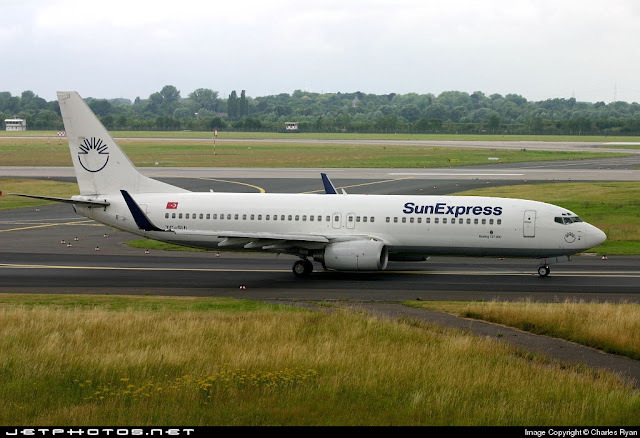 This aircraft is launched for existing Boeing 737-900 operators to replace them with this type. The range of the aircraft is better than the -900ER so making it a natural successor to both the -900 and -900ER series. This aircraft series is launched to compete with the Airbus A321NEO. With a larger wing, bigger engine and telescoping landing gear, this aircraft would come close to matching the performance of the A321NEO. 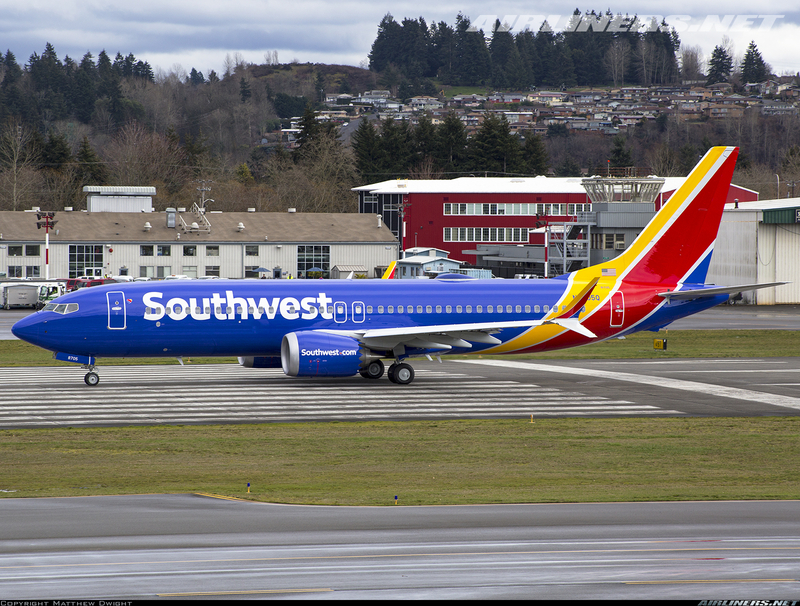 By launching aircraft, Boeing could win some of the markets by persuading the current 737 operators to continue purchasing aircraft from them. 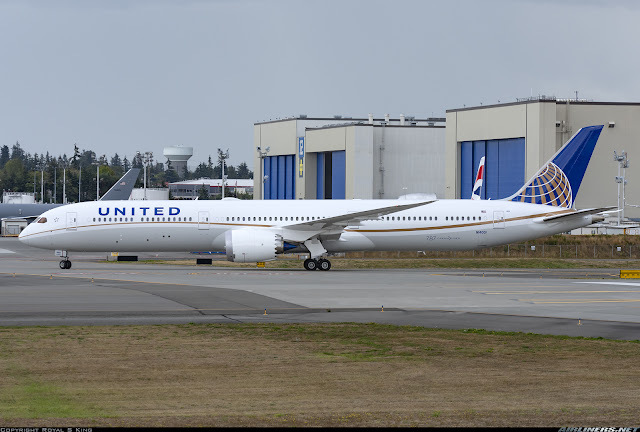 This aircraft was launched in June 2017 and United Airlines will be the launch customer for this aircraft type. The first flight would take place in late 2019 and delivery of the first aircraft taking place in 2020. 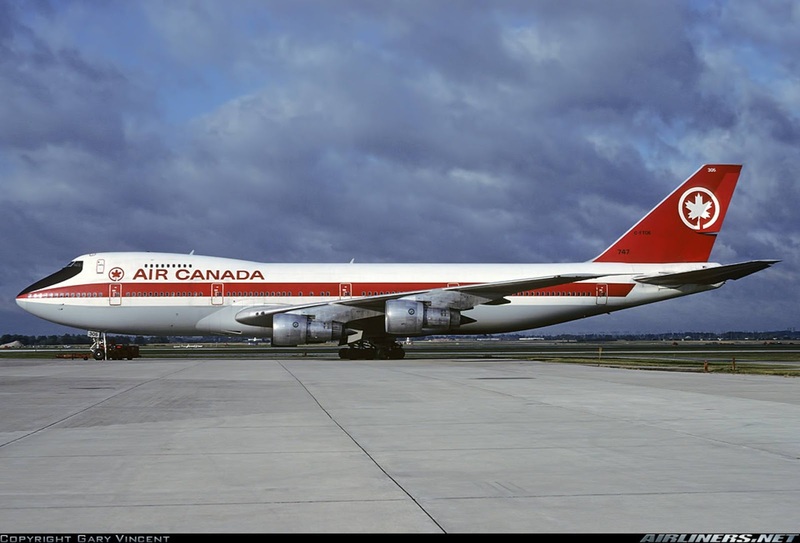 The Boeing 747 first flew in the 1970 and it was designed to carry a heavy load on medium to long haul routes. 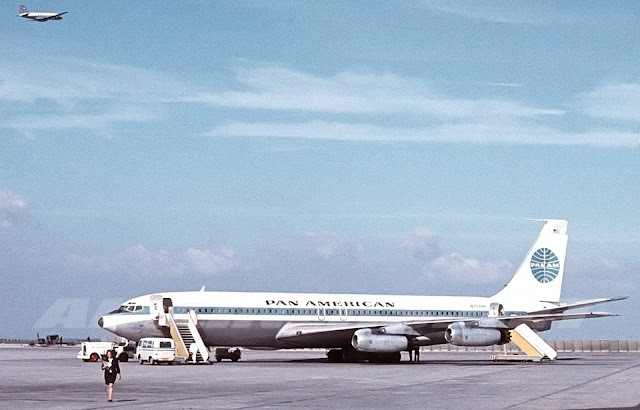 Pan Am is the launch customer for this aircraft type and it flew the 747-100 from New York to London and that starts the beginning of the 747 days. The original 747, the -100 series has a small upper deck area and it was gradually expanded till the latest model, the -8. I will post photos of every series but will exclude the likes of the subtypes such as the 747SR (Short Range) and 747-200M (Combi). 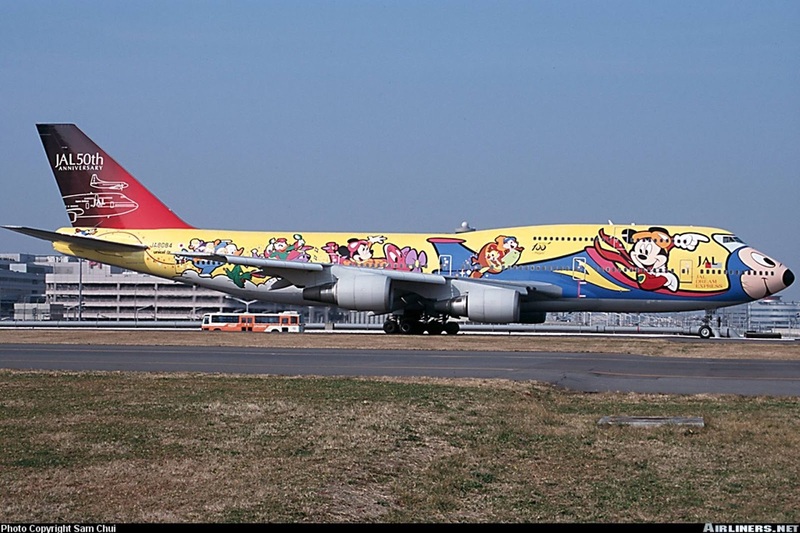 The Boeing 747 family held the record for being the biggest commercial aircraft in the market for 37 years until the presence of Airbus A380-800. 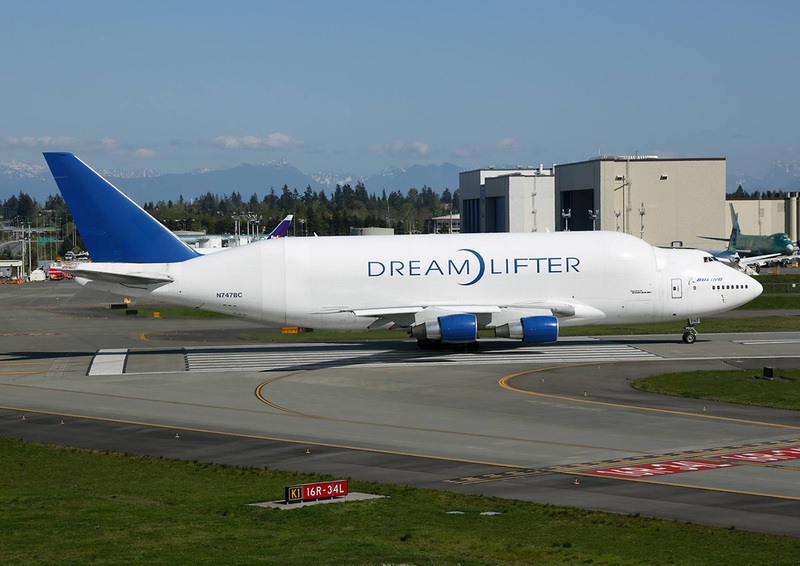 Boeing's answer to the A380? The Boeing 747-8I but it is still smaller than the Airbus counterpart. 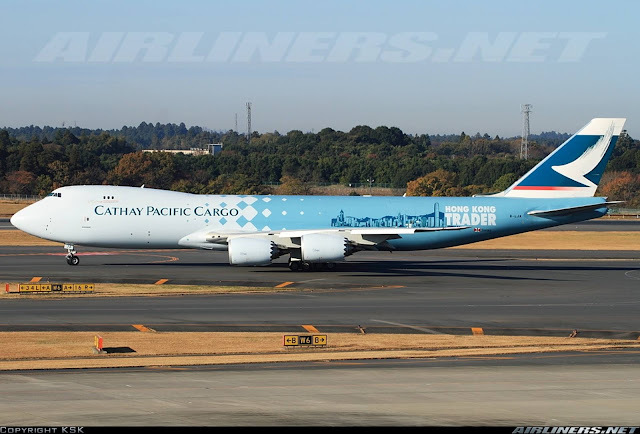 Unfortunately for Boeing, the 747-8I gained only a few customers but the 747-8F (Freighter version) has more luck since Airbus failed to sell any Airbus A380F due to the long delays. 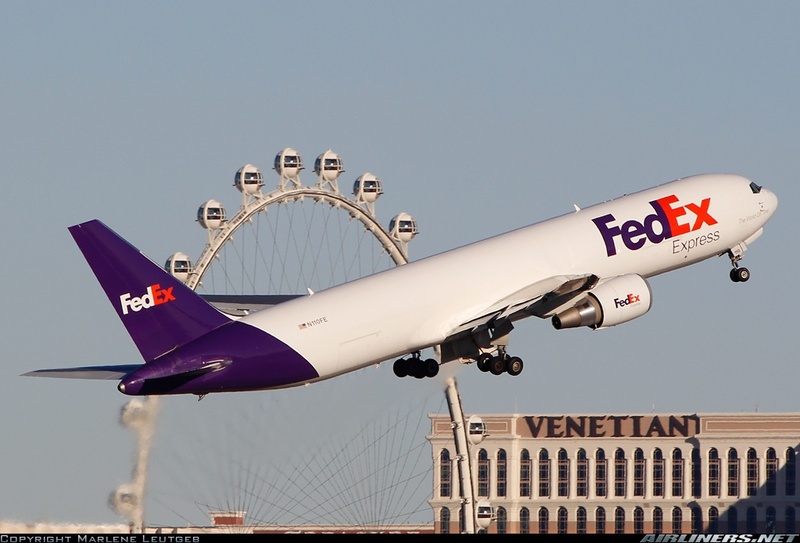 Fed Ex and UPS have switched their attention to the Boeing 767F and Boeing 777F (Fed Ex only). For the Boeing 747 series, only the -400 and -8 are 2-man cockpit while the rest are 3-man cockpit including an engineer. Boeing 747-100F, -200F, -300F and -8F. American Airlines' Boeing 747-100, notice the 3 windows on the upper deck? Most -100 are configured in this way but there are some -100 configured in the -200 upper deck and some -200 configured in the -100 upper deck configuration. For the -100, Pratt and Whitney and Roll Royce are engine suppliers for this aircraft type. 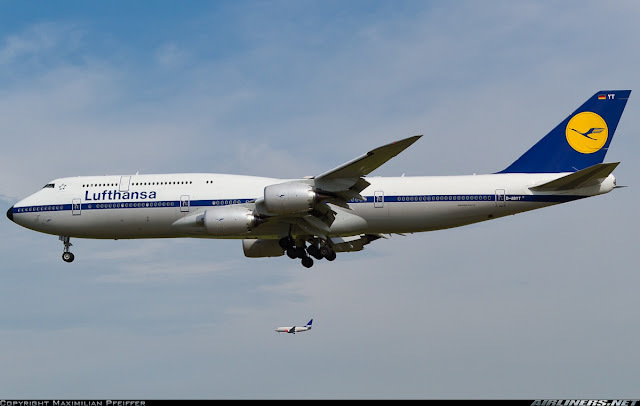 For General Electric engines, it powered the 747SR (Short Range) which ANA and Japan Airlines use on its domestic flights. 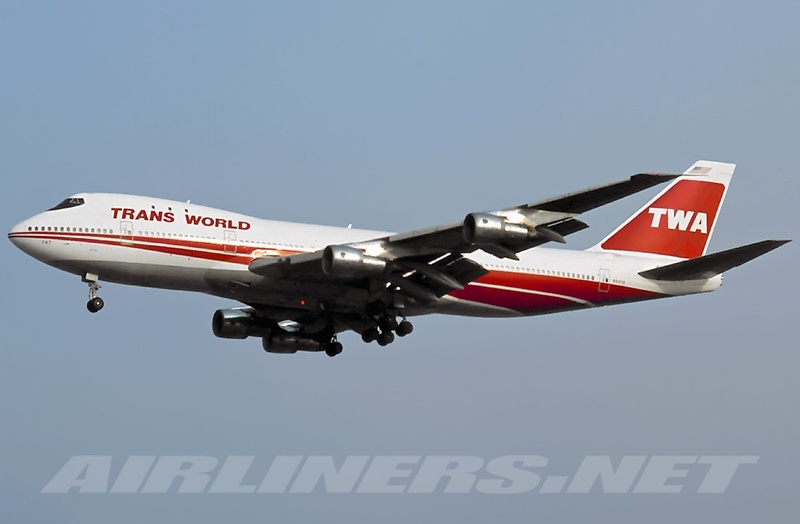 For this TWA's Boeing 747-100 aircraft. Pratt and Whitney, JT9D powered this aircraft. This aircraft was launched after the 747-100, -SR and -100B version and the difference between this aircraft and the other series is the length of the fuselage which is around 15 meters shorter. 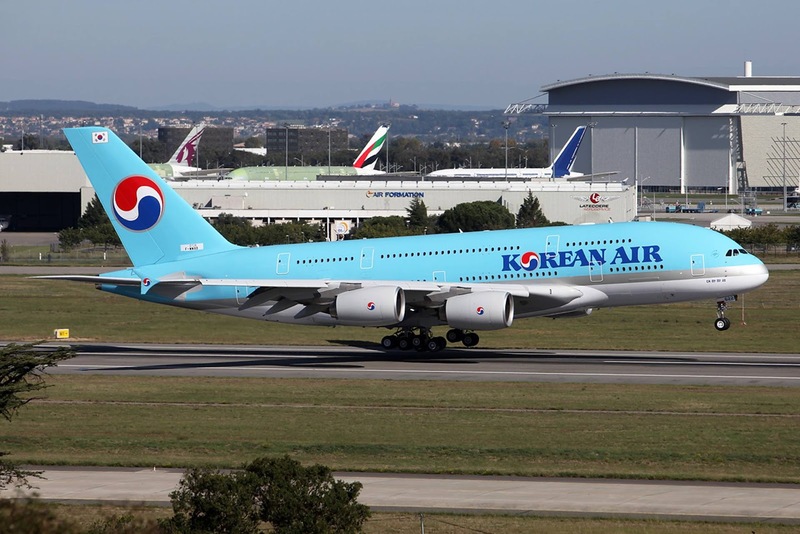 It is built for long haul flights with lesser capacity than the other 747s and also for airports with short runways. 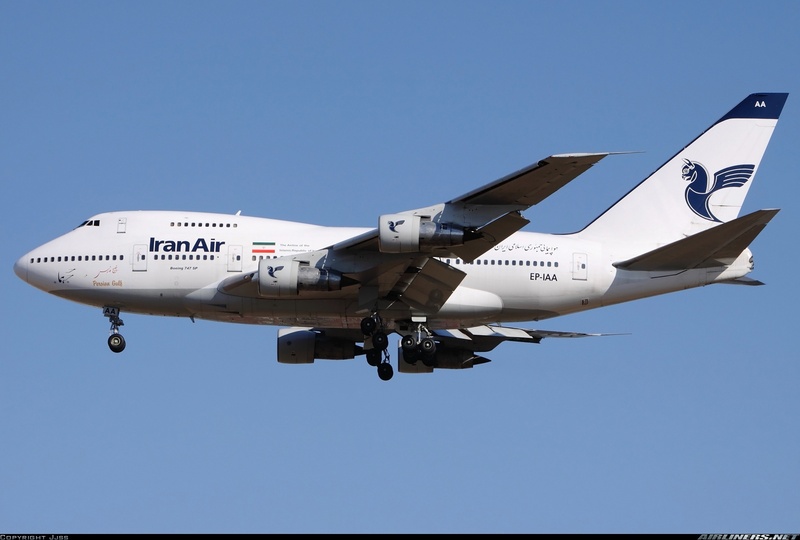 Unfortunately, only 45 aircraft were built and only Iran Air is currently the only passenger airline flying this aircraft type, only one left and it is due for retirement later this year. 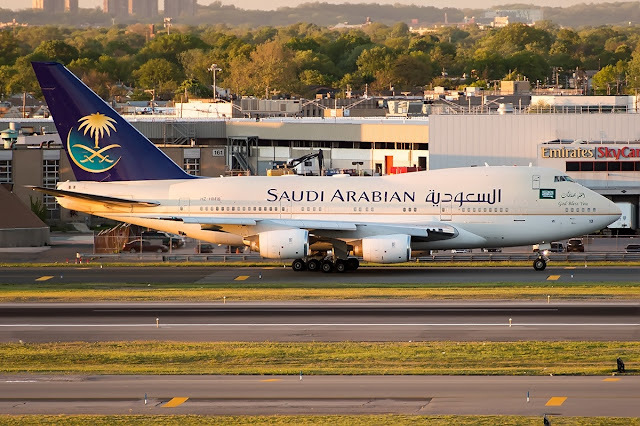 For the Boeing 747-SP, the Roll Royce RB211 and PW JT8D Engines powered this aircraft. This is Saudi Arabian Royal Flight's Boeing 747-SP equipped with Roll Royce RB211 engines. Do you notice the large tailfin and the short fuselage? This is easily recognized by these distinguished features. 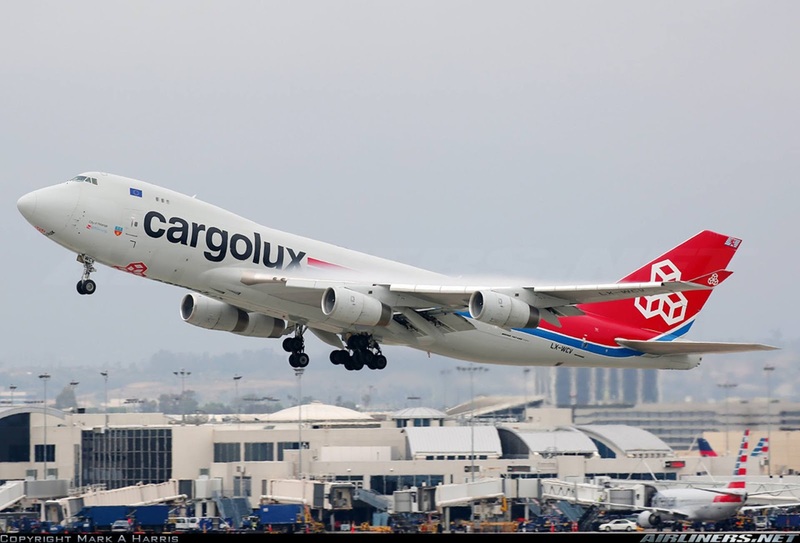 Airlines needed an improved Boeing 747 to fly on longer routes with slightly bigger capacity and Boeing did just that with the introduction of this aircraft with more powerful engines and can fly further than the -100 series. The first few models have the -100 upper deck style but the rest of the models feature the 10 windows on the upper deck. This -200 is more versatile than the -100 version, it has the passenger version -200B, the freighter version -200F, the convertible version, -200C and the Combi version, - 200M. This time, General Electric CF6 engines were certified to power up the 747-200, along with Roll Royce and Pratt and Whitney. Japan Asia Airways' Boeing 747-200 powered with JT-9D engines from Pratt and Whitney. 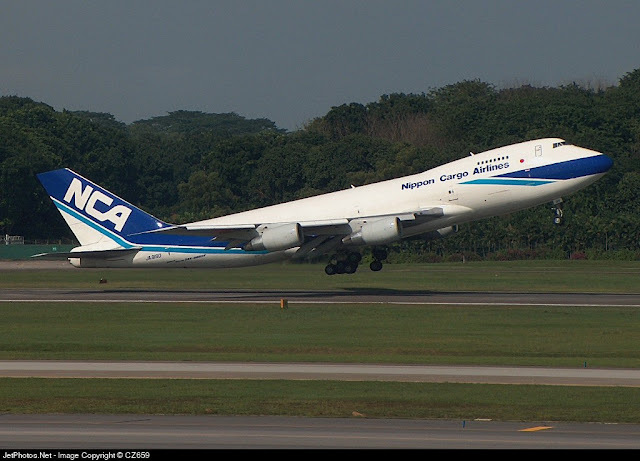 Nippon Cargo Airlines Boeing 747-200F (Freighter) powered with GE CF6 engines. The Boeing 747-300 was introduced as an upgrade over the -200, such as the increase of capacity (upper deck) and more powerful engines which allowed it to fly faster than the -200. Boeing introduced the stretched upper deck on the -300 and also allowed retrofit on the older models. That's why you see some -100 or -200 models with this stretched upper deck. A new straight stairway was also introduced on this aircraft instead of the spiral staircase on earlier models. However, the order of this aircraft was not many as Boeing introduced the -400 not very long after. 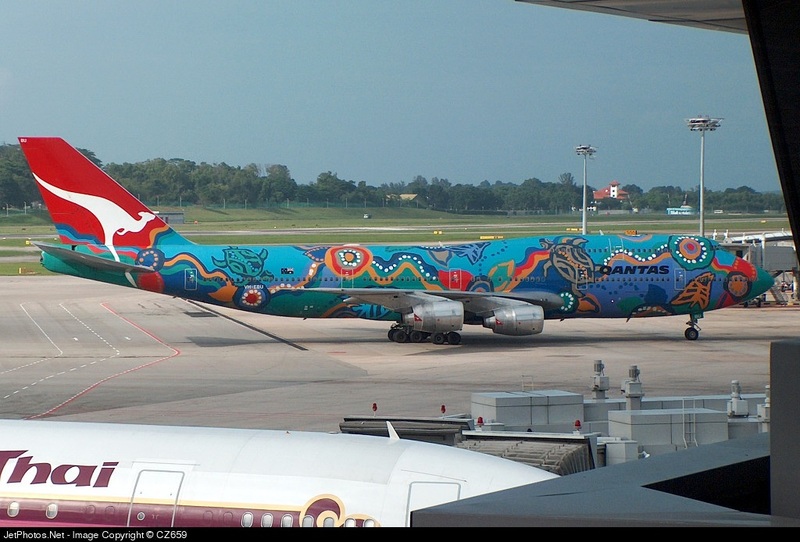 This is one of my favorite liveries - Nalanji Dreaming by Qantas. Unfortunately, both the livery and the aircraft have been retired. This aircraft is powered by Roll Royce RB211 engines. This is SwissAir's Boeing 747-300 Combi powered by Pratt and Whitney JT9D engines. Boeing 747-400 looks similar to the -300 but there are a few significant improvements over the -300. The winglets on the 747-400 which improves the range of the aircraft, more efficient engines from the 3 engine manufacturer, 2-pilot cockpit (One of the reasons that killed the -300) and improved cockpit display for the pilots. The improved engines are Pratt and Whitney PW4062, General Electric CF6-80C2 and Roll Royce RB211-524. 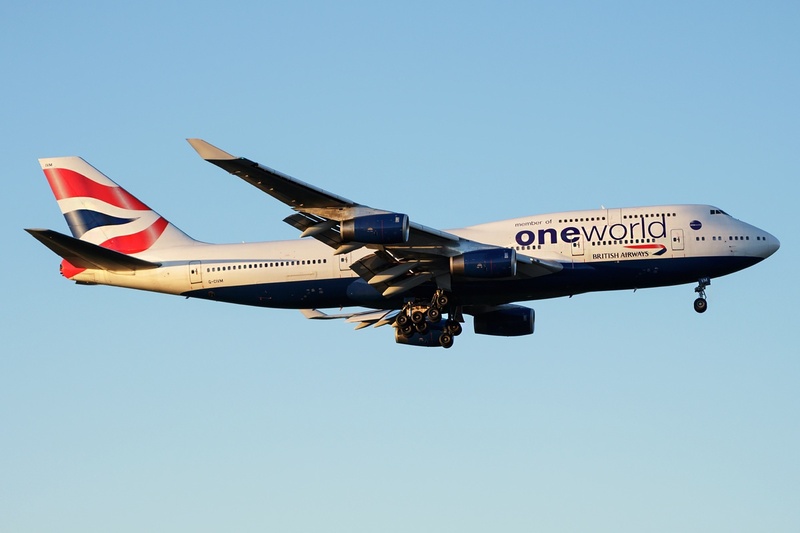 This is British Airways' Boeing 747-400 with OneWorld Sticker, powered by Roll Royce RB211 engines. This is Qantas' Boeing 747-400ER 'Wunala Dreaming' livery powered by General Electric CF6 engines. Notice the difference in the design of the engines? 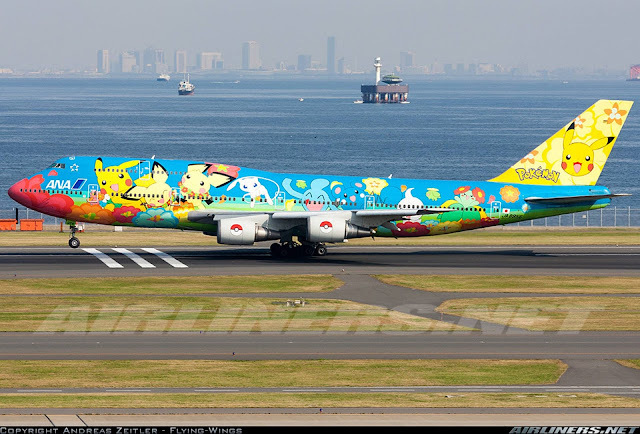 This livery has been removed and now this aircraft is in the normal livery. 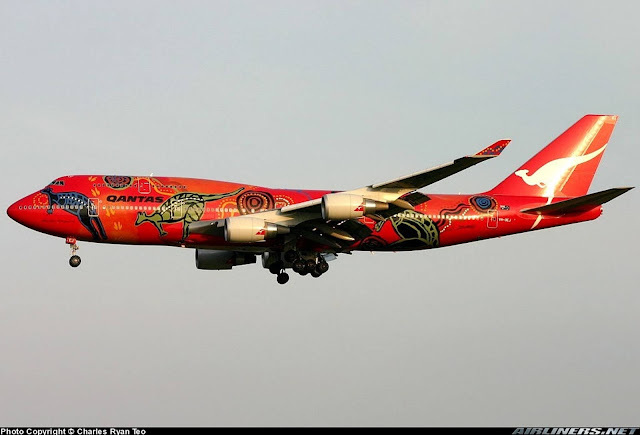 The physical appearance between this aircraft and the non-ER version is the same and Qantas is the only airline to operate the 747-400ER (Pax version). This is ANA's retired Boeing 747-400D (Domestic). This difference between this and the -400 (normal) is the lack of winglets on this aircraft. Are you a fan of the pokemon? 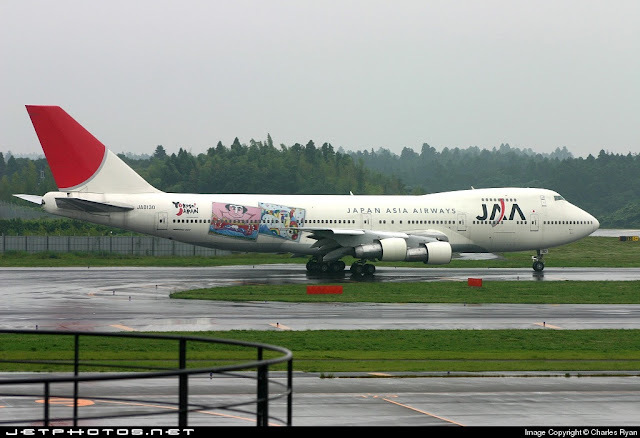 ANA and Japan Airlines used to have many different special liveries on this Jumbos. 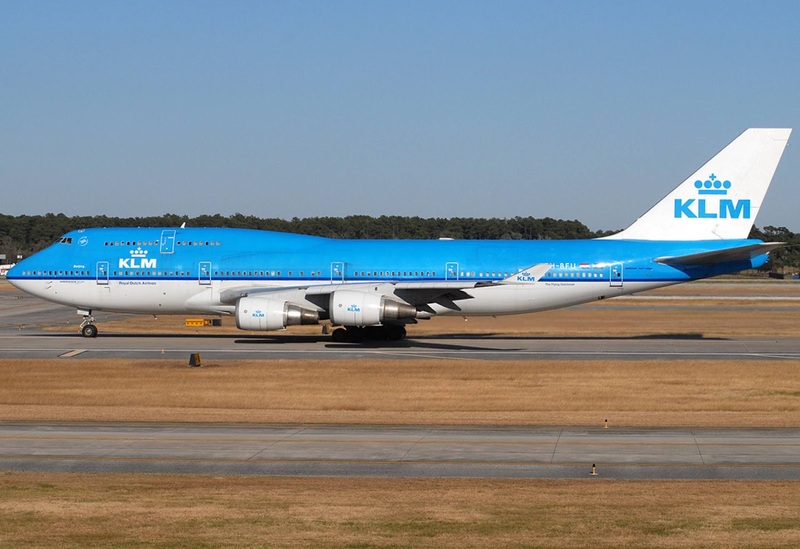 This is KLM's new livery on the Boeing 747-400 Combi, pretty isn't it? Combi is a mixture of passengers and Cargo hold on the same deck, the cargo hold is usually at the back of the aircraft, this means fewer passenger seats. This is Cargolux's Boeing 747-400F, beautiful isn't it? Looks kind of weird right? 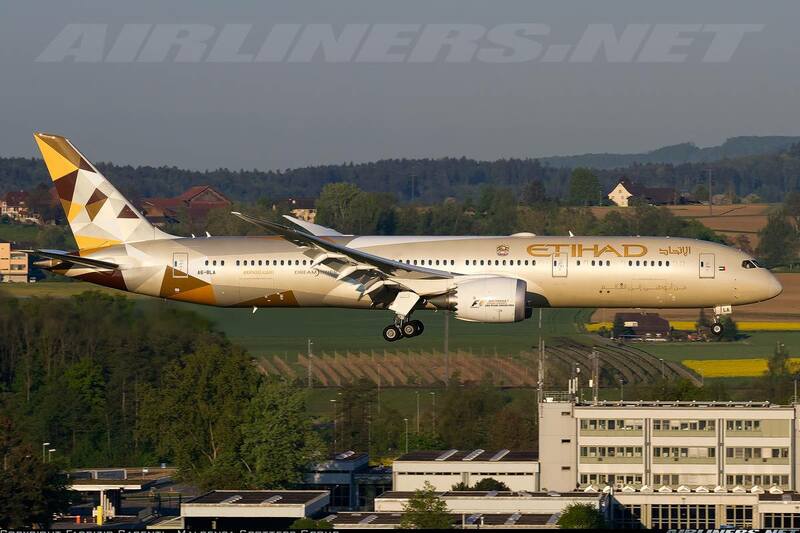 This is a modified aircraft and its main purpose is to carry parts of the Boeing 787 Dreamliner's components and only Boeing is operating this aircraft. 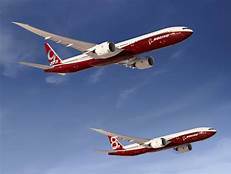 After Airbus launched the Airbus A380, Boeing could not let Airbus dominate the orders for the Very Large Aircraft category especially after seeing it is rival gaining quite a number of important orders especially the one at UAE, Emirates Airlines. The American manufacturer decided to use the 747 and current technology to create a new aircraft to compete against the A380. Boeing managed to gain a few airlines' order for the passenger version but not enough to overhaul Airbus' A380 orders, but the 747-8F is a success mainly due to the lack of competition. The improvement of this aircraft of the -400 is quite obvious; lengthened fuselage, redesigned wings, improved engines and larger capacity. Only GE engine is offered on this Boeing 747-8 and General Electric introduced the GEnx-2B67 for both passenger and freighter version. The retro livery of Lufthansa is painted on this beautiful Boeing 747-8I. Lufthansa is the launch customer for the Boeing 747-8I. Notice the obvious difference between this and the 747-400? This is Cathay Pacific's Boeing 747-8F (Hong Kong Trader livery) This cargo airline is the launch customer for this cargo plane. 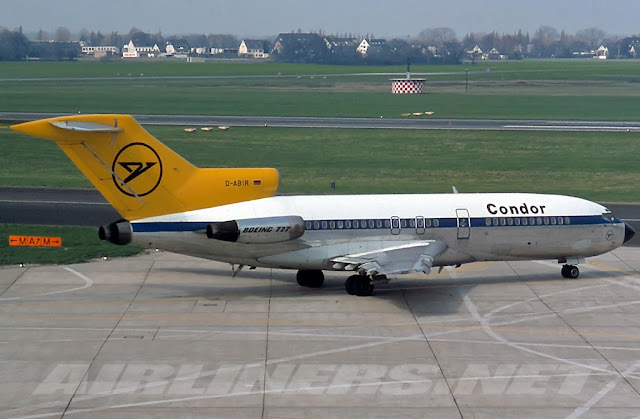 This aircraft was built by Boeing to replace the earlier models, such as the Boeing 727. 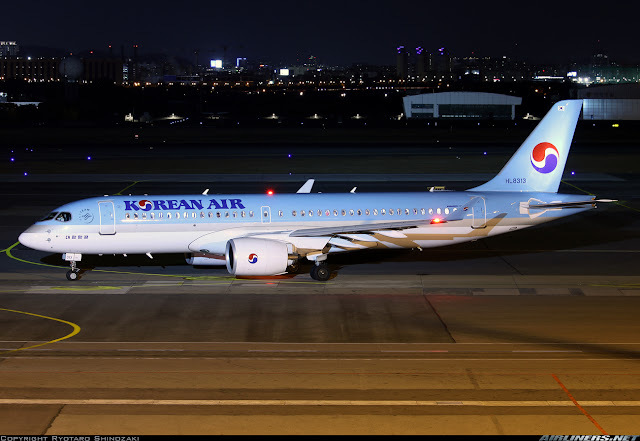 It is a narrow-body medium-size aircraft that can fly up to 6-7 hours. Along with the Boeing 767, they have the same glass cockpit which means pilots can fly on both aircraft types under the same certification. With the more efficient turbofans compared to the old aircraft, it was an ideal replacement and a popular one among the carriers. 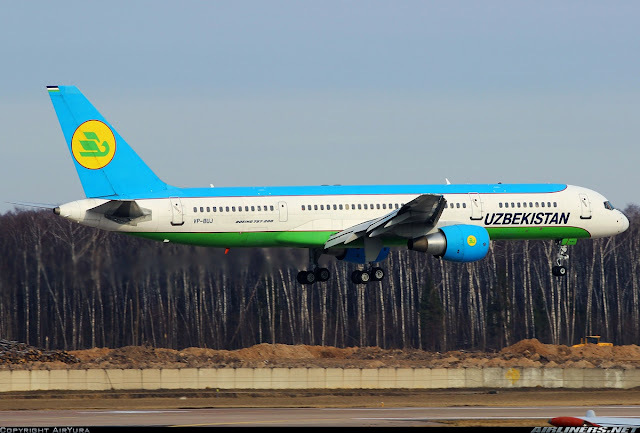 The Boeing 757 has two types, the -200 and -300. The -300 has a longer fuselage and can carry more passengers but the range is sacrificed. 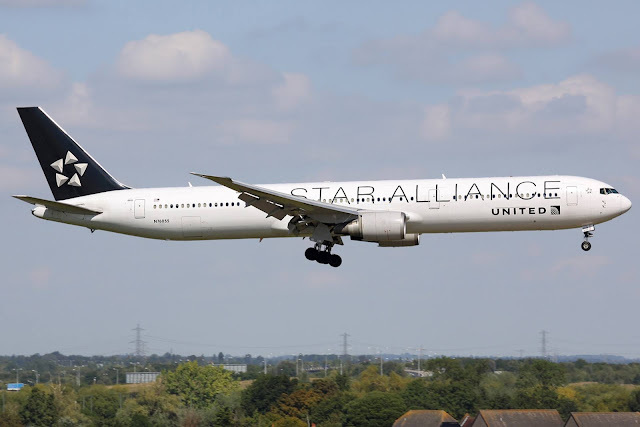 For the Boeing 757, only Pratt and Whitney PW2000 and Roll Royce RB211 are the engine suppliers of this aircraft and the Boeing 757-200 also has the Freighter version. This is Uzbekistan Airways' Boeing 757-200 equipped with Pratt and Whitney engines. 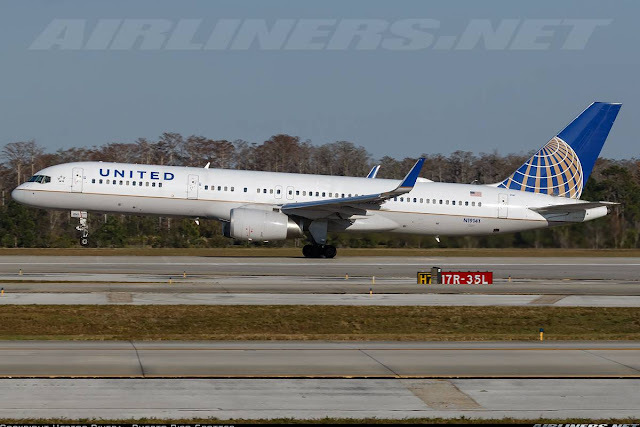 United's Boeing 757-200 equipped with winglets. Notice the 2 overwing emergency windows, airlines can opt for this option. 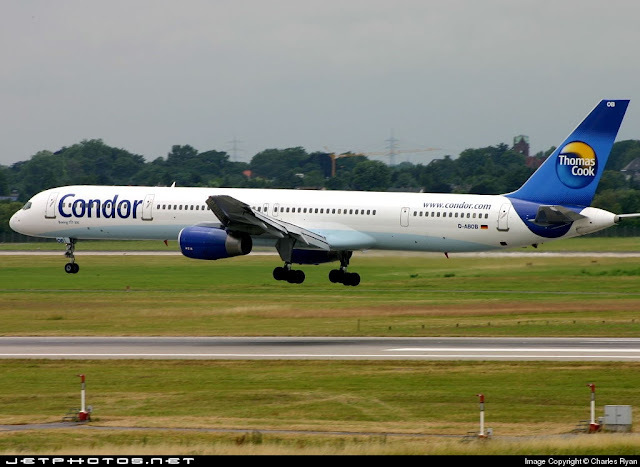 This is Condor's Boeing 757-300. Can you see the difference in length? This is the first wide-body twinjet with 2-crew glass cockpit built by Boeing, developed alongside with the Boeing 757. 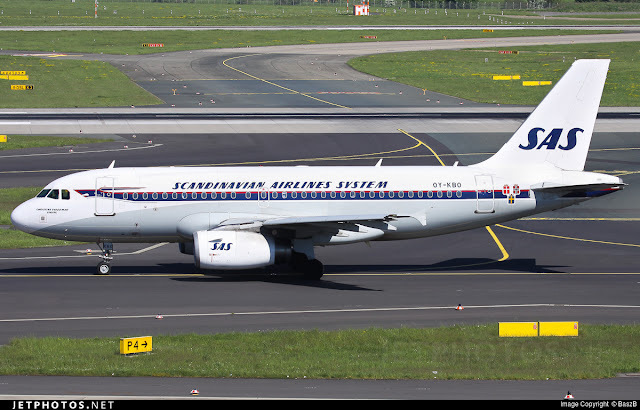 What amazed the airlines during those days was the quieter and more efficient turbofans and a common type rating with the 757s which help the airline saves a lot of money in training for pilots. There are 3 main types in this family: Boeing 767-200, -300 and -400ER. Of course, Boeing has produced other versions to satisfy the needs of the customers such as the -200ER (Extended Range), -300ER, -200F (Freighter) and -300F. Even the VIP gets its own version and of course, the military gets the KC-767, KC-46 aerial tankers, and E-767 surveillance aircraft. Pratt and Whitney PW4000 and JT9D, GE CF6 and Roll Royce RB211 engines are engine suppliers of the 767. The Boeing 767-400ER is the latest model in the 767 families and it is built to help the likes of Delta and Continental Airlines (Now merged with United Airlines) replace its Lockheed L1011 and DC-10 fleet respectively. 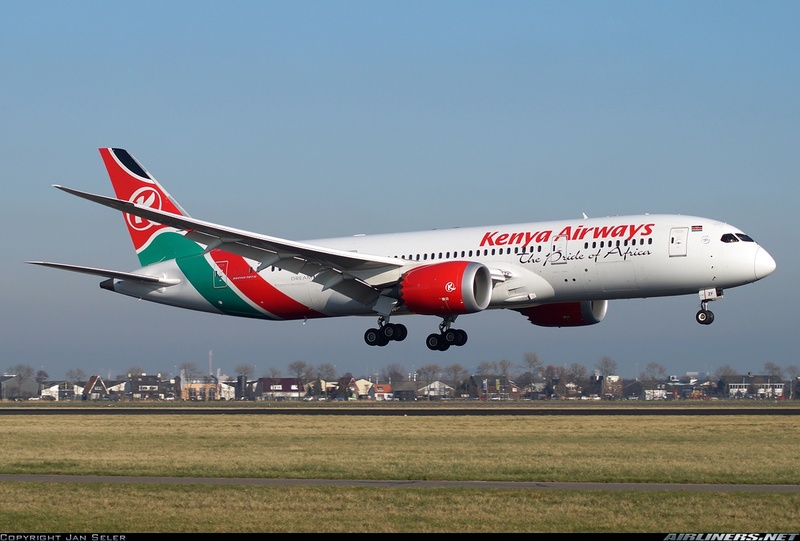 Kenya Airways ordered this aircraft, however, it was changed to the Boeing 777-200ER, leaving Delta and Continental the only operators for this aircraft type. 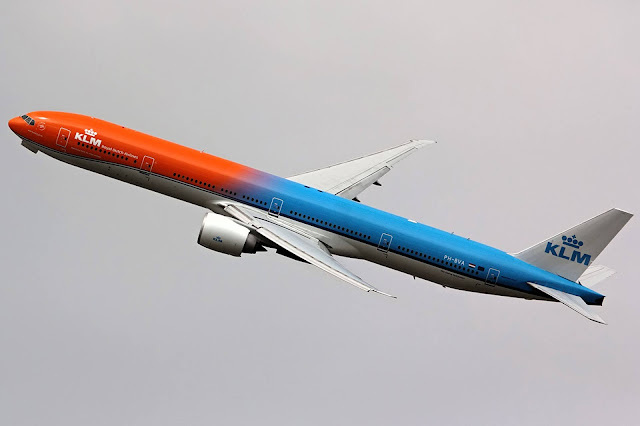 Boeing has sent its Boeing 767-400ER for a world tour but failed to gain any additional order. As a result, the production of this type has shut down. 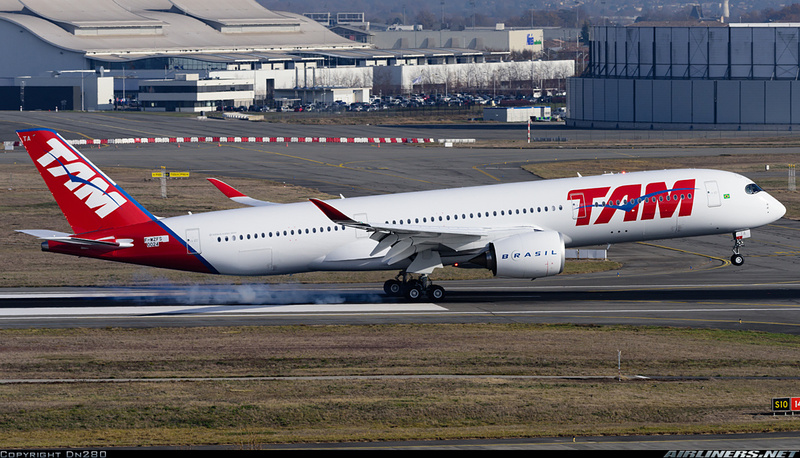 The Airbus A330-200 is the main culprit to the 767-400ER failure as many operators opted for this aircraft as it can carry more passengers and has a longer range than this model. 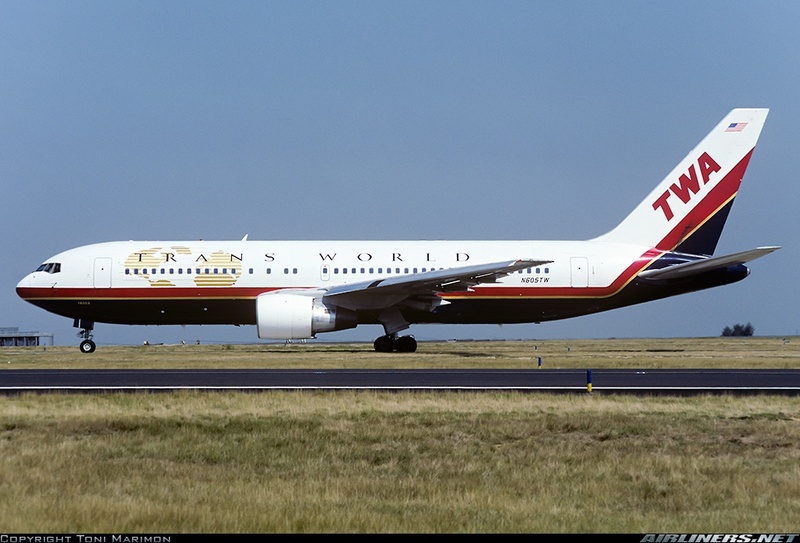 TWA operated a number of Boeing 767-200s and this is one of them, the Boeing 767-200ER powered by Pratt and Whitney engines. 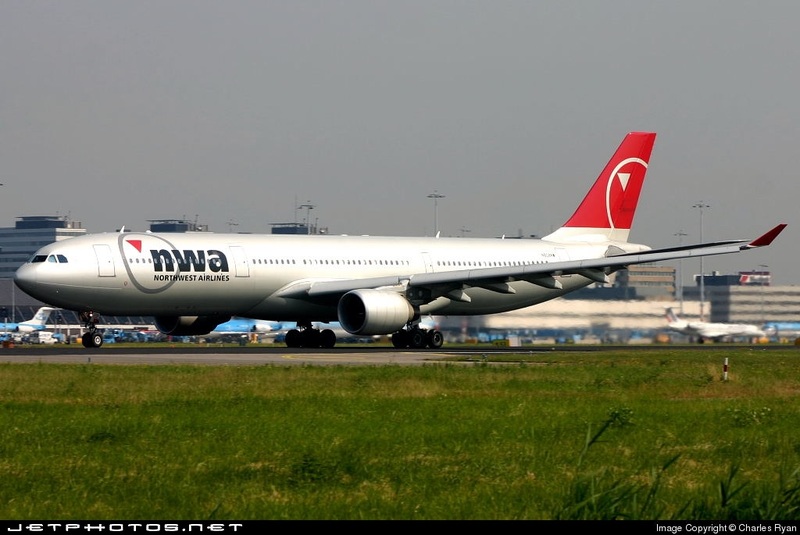 Do take note that this 767 below has an extra emergency overwing window compared to the TWA's newer livery. 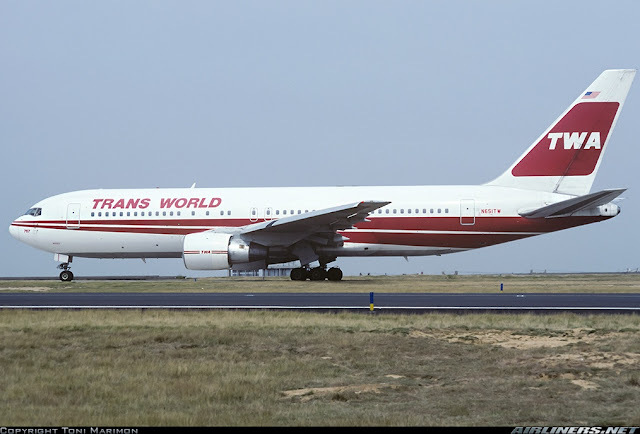 This TWA's Boeing 767-200ER is in a newer livery. No difference in appearance between the -200 and -200ER. 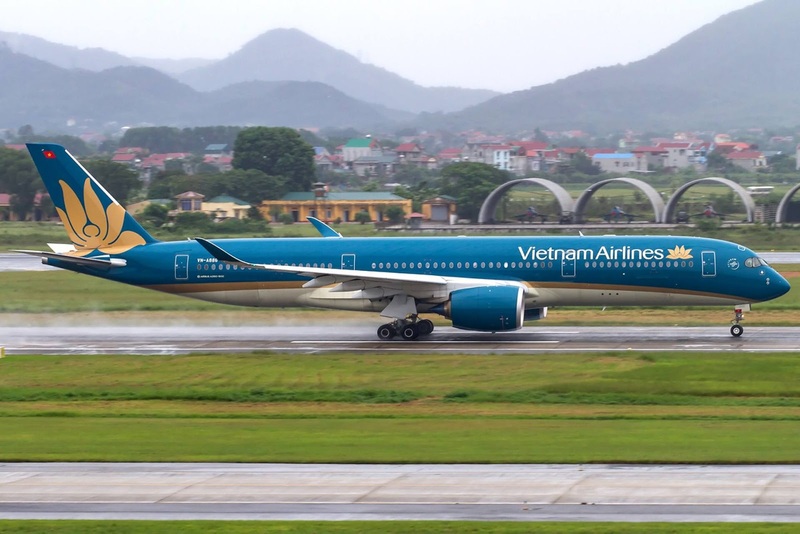 The Boeing 767-300 and -300ER have proven to be very popular plane models that have gained success for a number of years before more fuel-efficient aircraft like the Airbus A330 and Boeing 787 appeared in the market. The 767s are popular for its comfortable layout cabin of 2-3-2 in Economy Class and sadly this aircraft is slowing reducing in numbers as the 787 Dreamliner - 8 series replaces them. 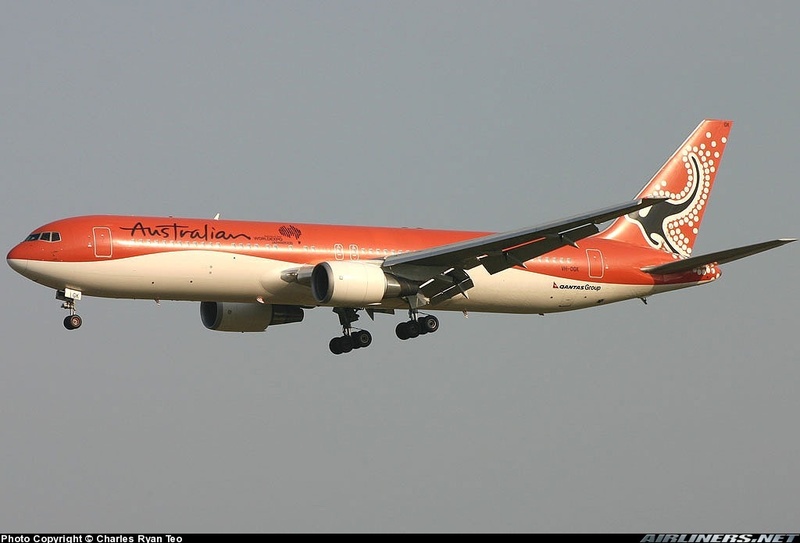 The defunct airline - Australian Airlines' Boeing 767-300ER, popular for its stunning livery. Do notice this airline's configuration and the photo below this picture. Boeing has 2 different configurations for the 767-300 aircraft, airlines can choose which one suits them better. This aircraft is powered by General Electric CF6-80C2. 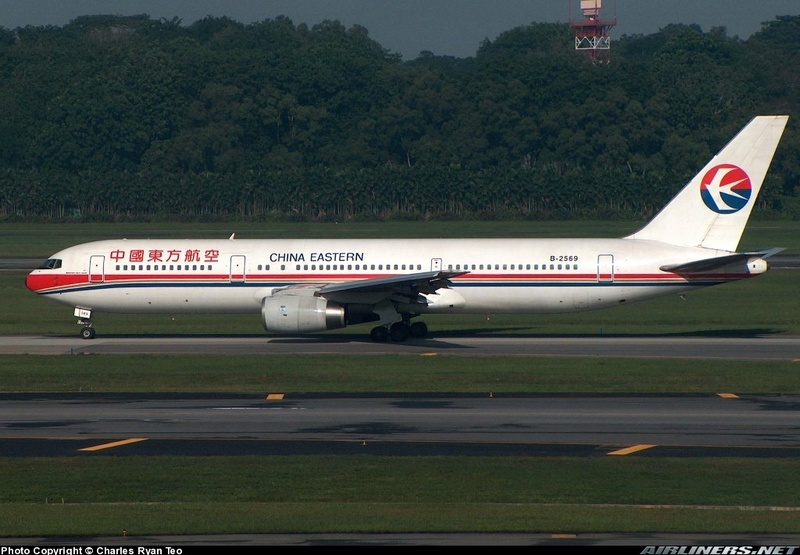 This is China Eastern's Boeing 767-300ER, see the difference in configuration? This aircraft is equipped with Roll Royce RB211 engines. 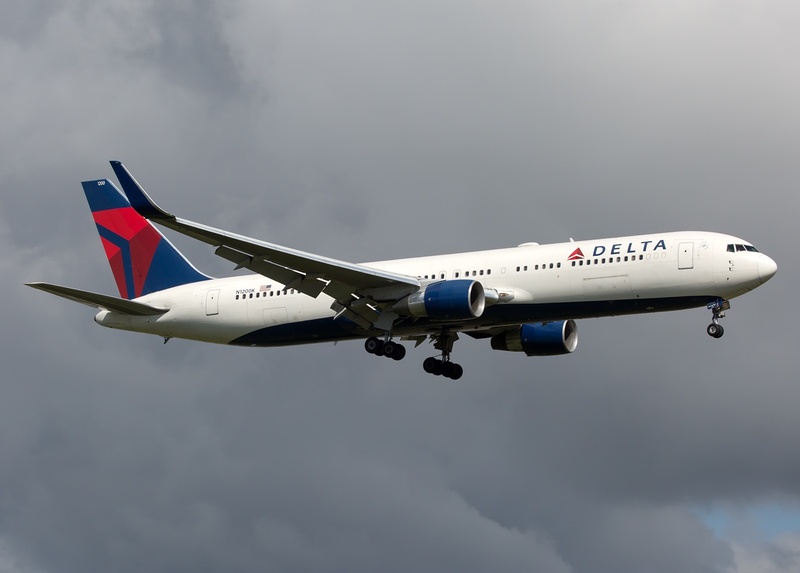 This Delta's Boeing 767-300ER with winglets is powered by Pratt and Whitney engines. FedEx's Boeing 767-300F (Freighter) The reverse thrust in action, this is to slow the aircraft down to taxiing speed. 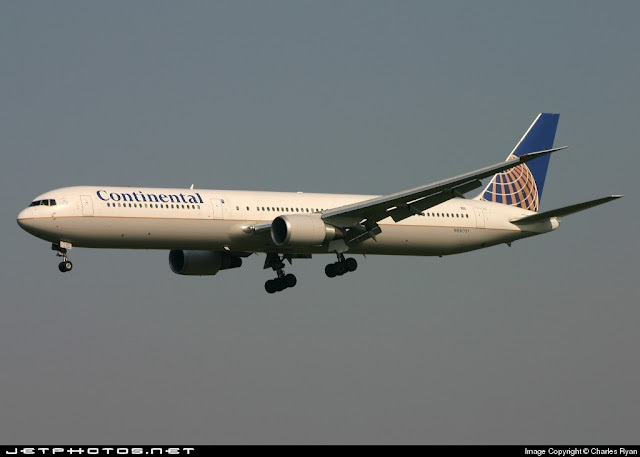 Only 2 customers operate the Boeing 767-400ER, Delta and Continental (United Airlines). The engines offered are Pratt Whitney PW4000 and General Electric CF6 engines. This aircraft is 6.43 meter longer than the 767-300, has bigger capacity but slightly lesser range than the -300ER. This is Continental's Boeing 767-400ER, before the merger. 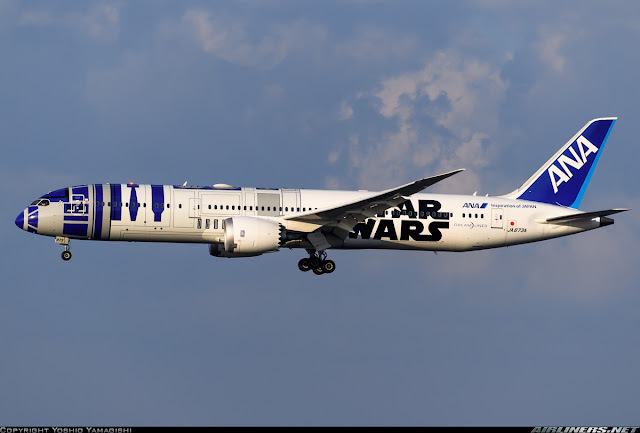 The aircraft is in the 'Star Alliance' livery. 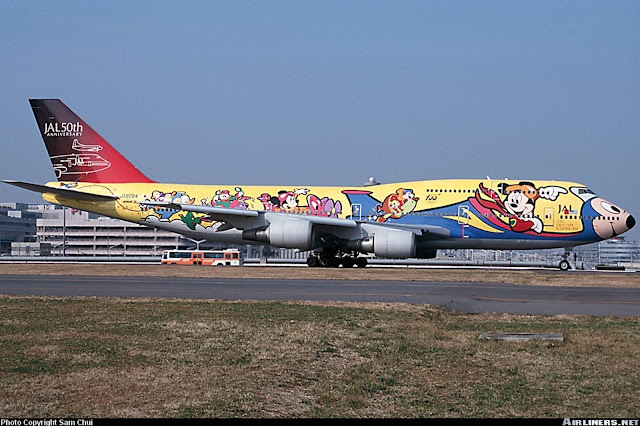 Can you see the difference between this and the 767-300? 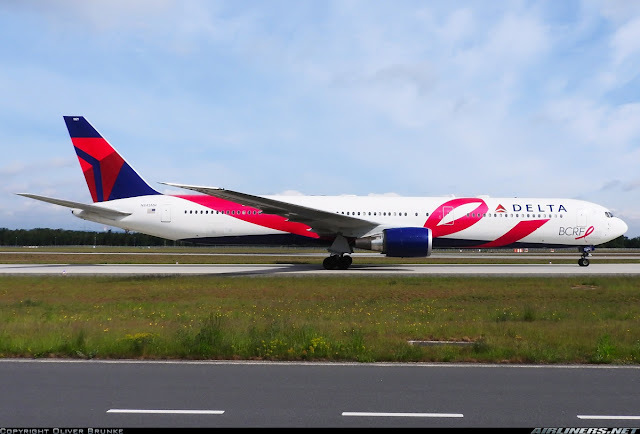 Delta Airline's Special livery - this livery is dedicated to the Breast Cancer Research Foundation. Boeing 777 has to be one of the best wide-body built by Boeing, its so popular that it caused worries for Airbus as its A340 series fails to compete with the Boeing's Triple 7. When Boeing launched the Boeing 777-200LR (Long Range)and -300ER, the latter in particular probably killed the Airbus A340-500 and -600 program. This story begins in the year 1995 when Boeing launched this program with the Boeing 777-200, -200ER (in 1997) and -300 (in 1998). It managed to get quite a number of orders back then and airlines were very happy with these models and asked Boeing to further improve the aircraft and the company did just that by launching the -200LR and -300ER in 2006 and 2004 respectively. The Boeing 777-300ER (Extended Range) is the most popular model among the series and even though its been more than 10 years since its launch, there are still orders coming in especially from Primary Airbus operators such as China Airlines, Philippines Airlines, Swiss Airlines...etc which recently decided to replace the fleet's Airbus A340 with this aircraft. 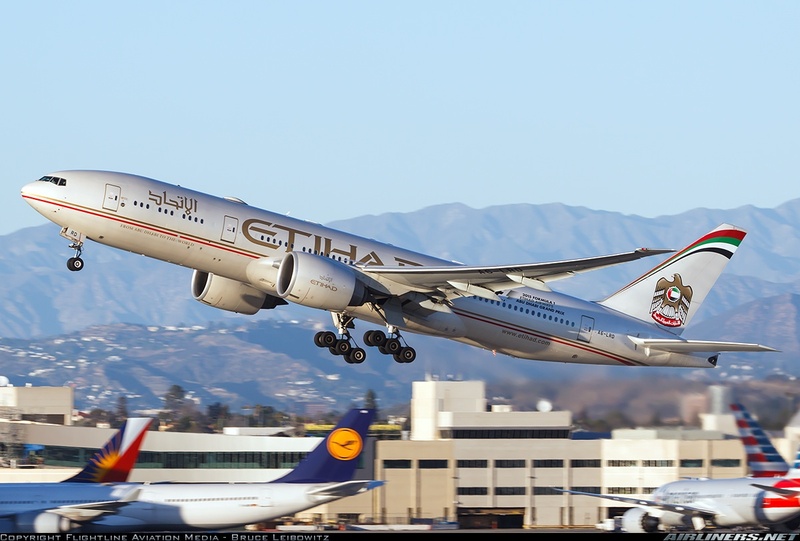 In November 2013, Boeing has launched the Boeing 777-8X and -9X with improvements on the aircraft using 787 technology, composite wings, and improved GE9X engines. The future Boeing 777-8X and -9X. General Electric is the sole engine supplier for the Boeing 777-200LR, Boeing 777-300ER and the upcoming -8X and -9X. For the other series, -200 and -200ER is powered by Pratt and Whitney, Roll Royce and General Electric, the -300 (Non-ER) is powered by only Pratt and Whitney and Roll Royce engines. 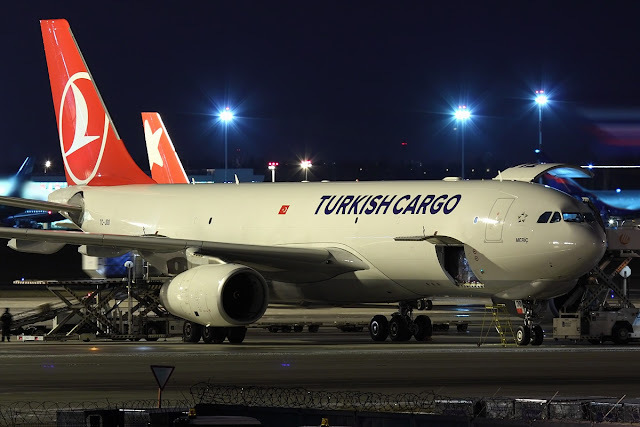 There is also a cargo version for this 777, the Boeing 777 Freighter which is based on the Boeing 777-200LR model, the engines are also powered by GE90. 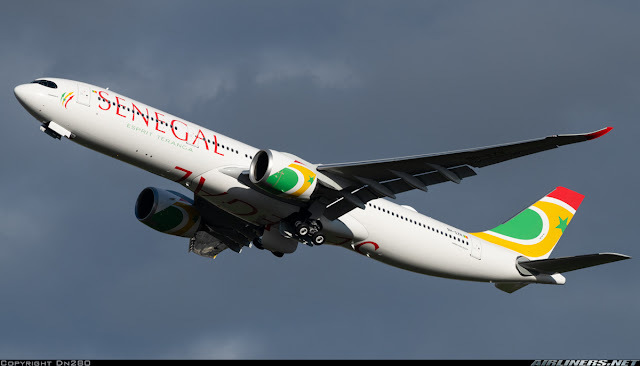 This aircraft was aimed for short-medium haul routes which require capacity and its a rival of the Airbus A330-300. 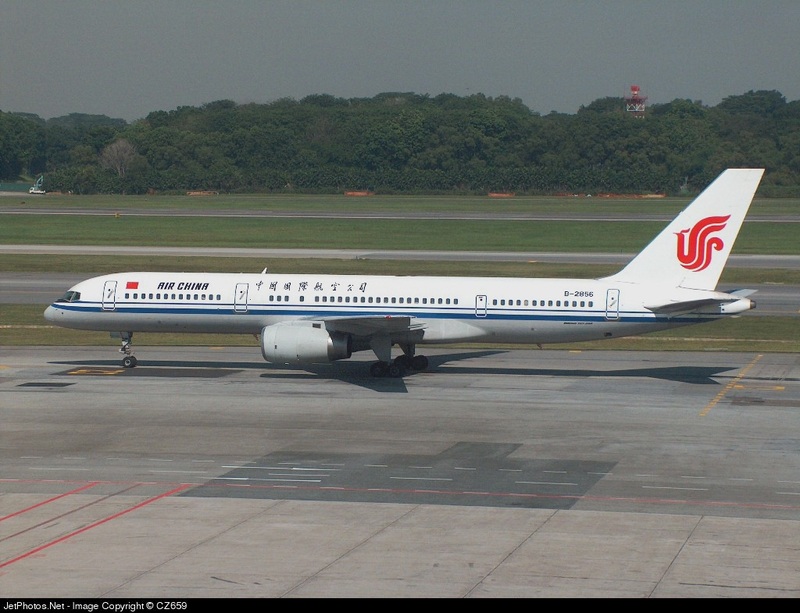 It isn't as popular as the -200ER as more airlines prefer this version as it can fly on short and long haul routes at the same time, more versatile than this aircraft. 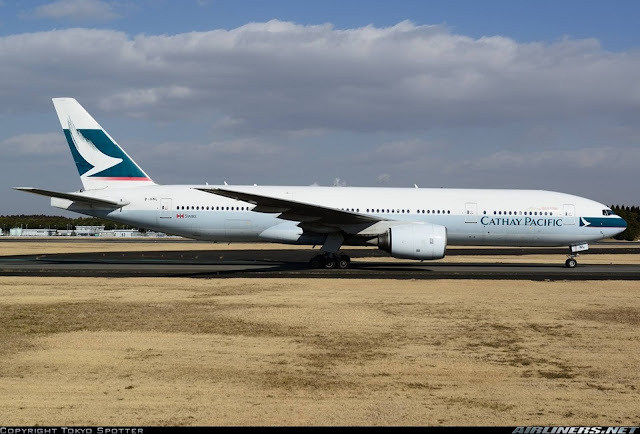 This is the world's first Boeing 777, the -200 series now flying for Cathay Pacific. 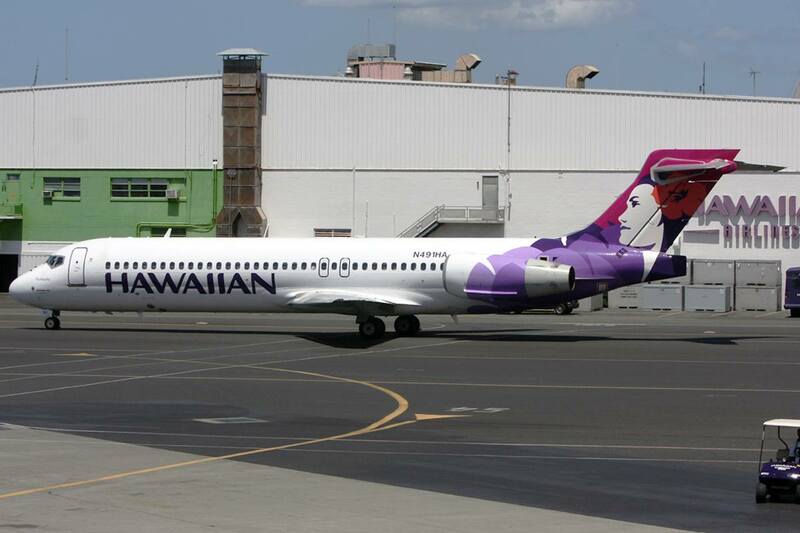 B-HNL is a very popular aircraft among aviation spotters. This aircraft is powered by Roll Royce Trent 800 engines. This is ANA's Boeing 777-200ER powered by Pratt and Whitney 4000 engines. 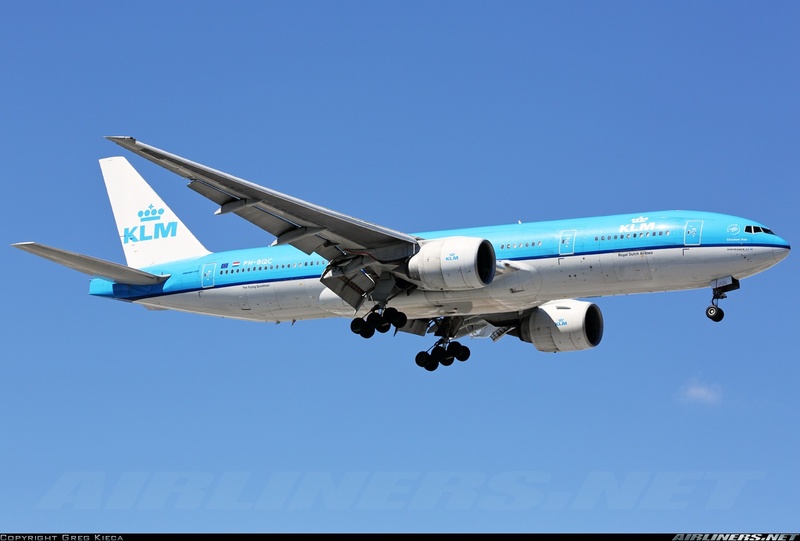 Old Livery of KLM's Boeing 777-200ER powered by GE-90-94B engines. Boeing launched this aircraft is to compete with Airbus' A340-500 and both aircraft can fly ultra long haul flights. Emirates has announced the longest non-stop flight soon with this aircraft from Dubai to Panama City from 1st February 2016. It is amazing for the twin jet engine! If you turn back time in the 1970s, the folks back then would have laughed at you if you tell them about this. What's the difference between this -LR and the other two types (Non-ER and ER version)? - The size of the engine and the raked and the extended wingtip. This is Etihad's Boeing 777-200LR. This is the standard version. Comparing this to the -300ER, this aircraft is powered only by Roll Royce and Pratt and Whitney and while the -300ER is only powered by General Electric engine. 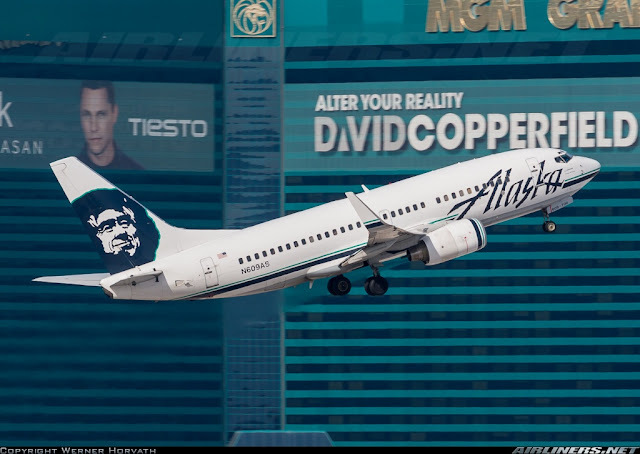 This aircraft was launched to replace the 747-100 and -200 but not many airlines ordered this version as the European and American carriers didn't find this aircraft what they need, they needed a longer range aircraft and that is where the -300ER comes in. 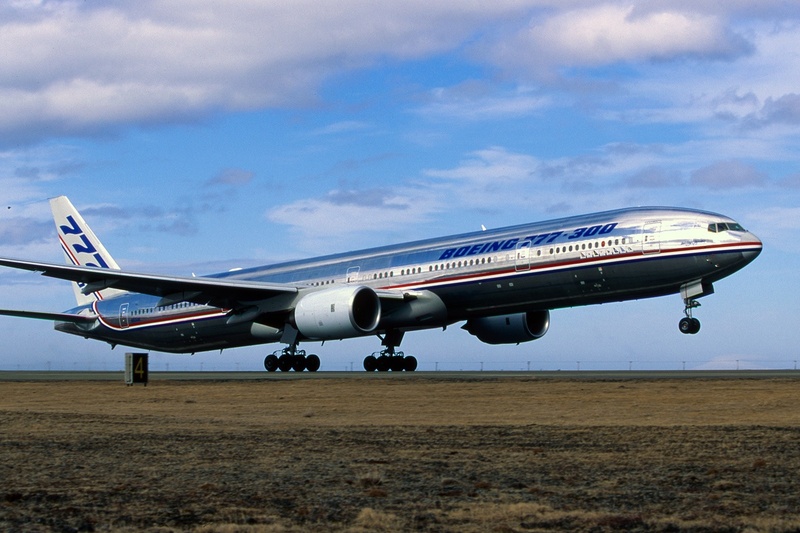 This is Boeing's 777-300 prototype. The Boeing 777-300ER is an improved version over the -300 series. It includes raked and extended wingtips, a wing aspect ratio of 9.0, new landing gear, reinforced nose gear and extra fuel tanks. The fuselage and the rest of the body are strengthened and it is powered by the most powerful engines, the GE-90-115B, which produce a maximum thrust of 115,000 IBF. Perfect replacement for the Boeing 747-400 and Airbus A340-600 and perhaps the -300 as well. Difference between this and the -300 from the appearance? The wing and the size of the engine, this one is larger. This is Boeing's new generation wide-body jet. Launched to compete with Airbus' A350 family but comparing with the capacity, they are larger than the A350 and the -9 series is probably comparable to the A380. Some airlines may be looking at this aircraft to replace it. Powered by 2 General Electric GE9X engines (sole engine maker), its engine thrust is lesser than the GE90-115B engines (Boeing 777-300ER's engines), due to the new advance wings allowing the aircraft to perform as well. Despite the delay and problems, the Boeing 787 Dreamliner has been quite popular. 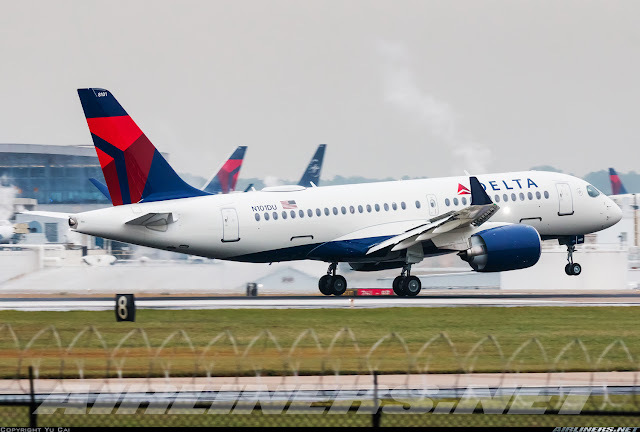 New technology is introduced onto this aircraft so it took a while before Boeing finally got the dispatch reliability back to where the airline wants it to be, that is at least 99.7%. 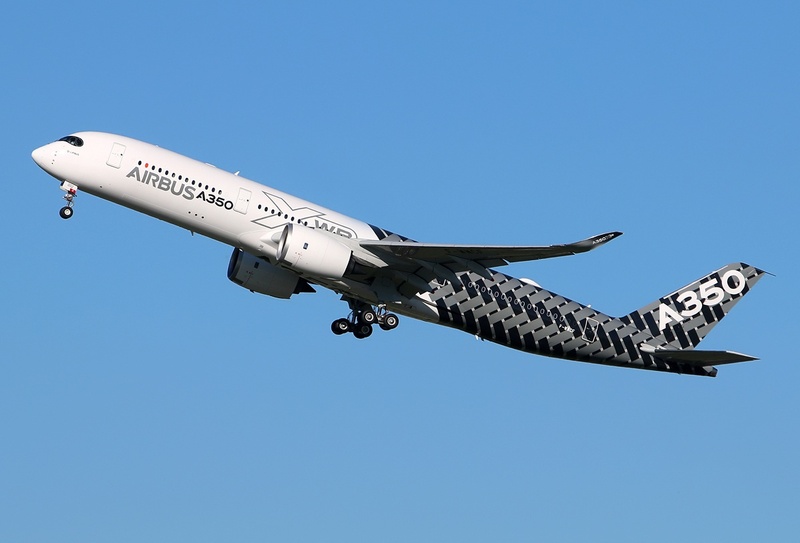 Airbus responded by launching the Airbus A350. 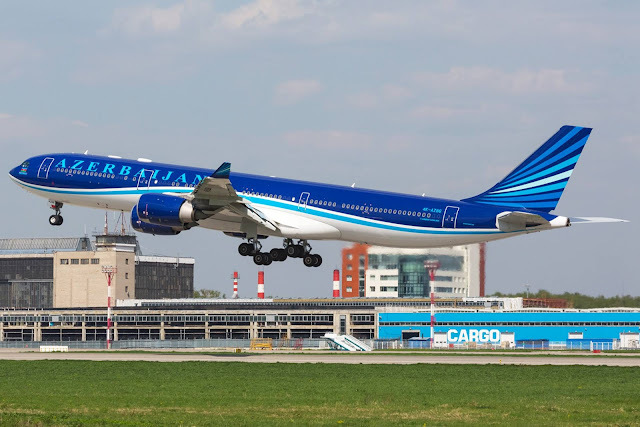 When you fly on this aircraft, you will observe the following; better air circulation, electronic windows, bigger windows, and quieter cabin compared to the Boeing 777. Whether the cabin is quieter than its rival, Airbus A350, depends on the passengers who have flown on both. I haven't flown on the A350 yet but will do so in the near future. What's the advantage of the Boeing 787 over the other similar size aircraft? The fuselage uses composite materials to make it lighter and enables it to fly long haul without burning too much fuel. It is designed to be 20% more fuel efficient than the Boeing 767. 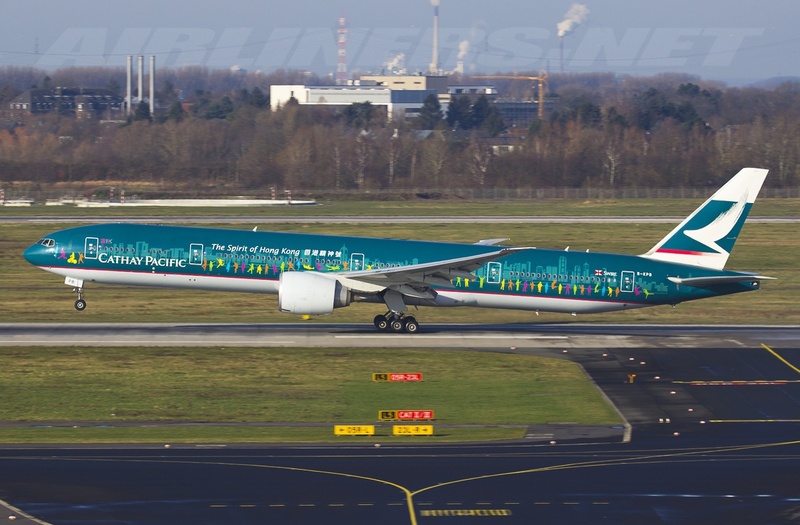 One advantage for existing Boeing 777 operators is that this aircraft shares the common type rating which allows Boeing 777 pilots to operate this aircraft. The Roll Royce Trent 1000 and General Electric GEnX-1B are engine suppliers for the Boeing 787. 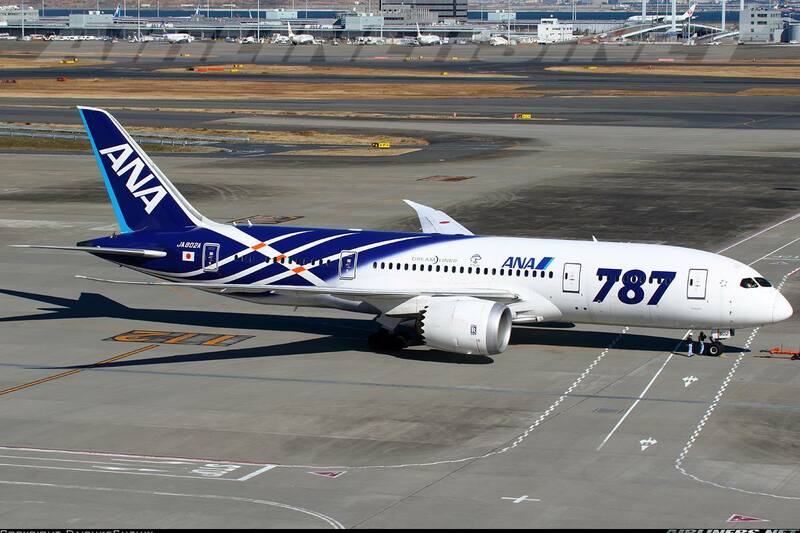 This is the launch customer of the Boeing 787, ANA in its special livery, powered by Roll Royce engines. This aircraft is the -8 series which is the shortest aircraft among the types. 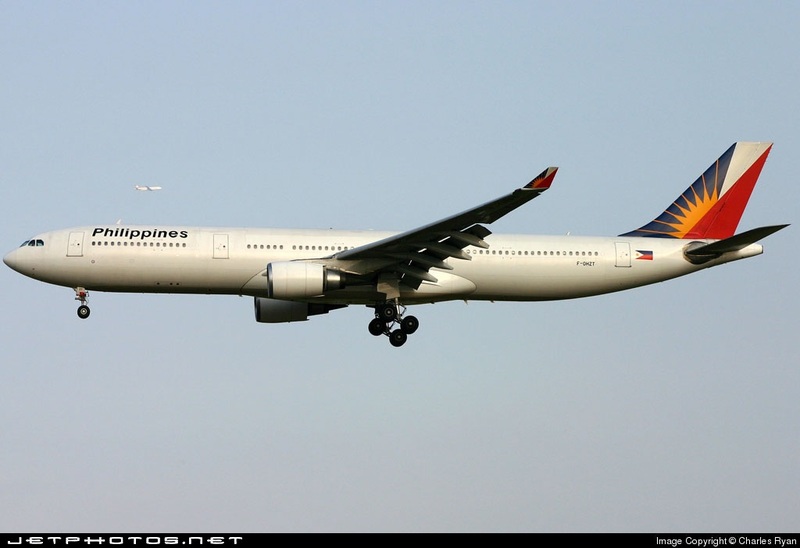 It is supposed to be Airbus A330-200 and Boeing 767-300ER replacement. The Boeing 787-9 is 6.1m longer than the -8 series and has a 54,500 MTOW (Maximum Take-off Weight) than the shortened 787 siblings. 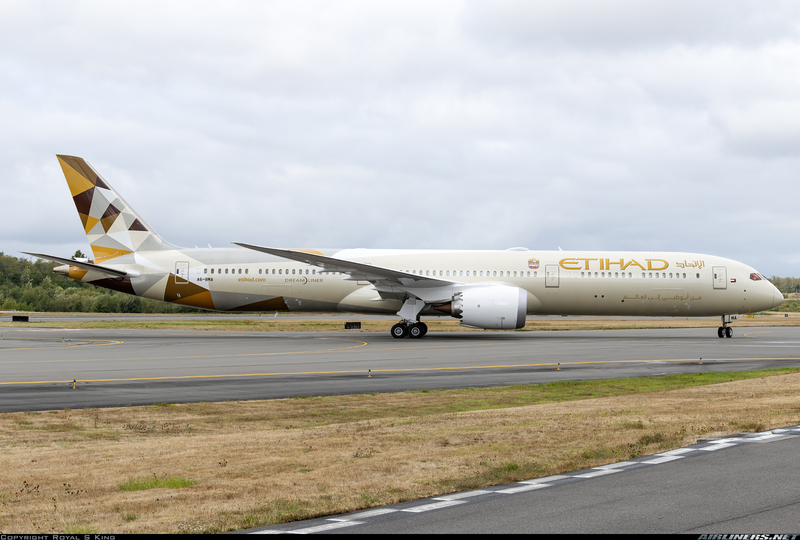 This aircraft is targeted to replace the Boeing 767-400ER, Boeing 777-200 and the ER version and the Airbus A330-200 and -300. This aircraft also can open up long haul route which is too large for the Boeing 777-300ER - its a perfect plane for this type of mission. Can you see the difference in length of both -8 and -9's fuselage? 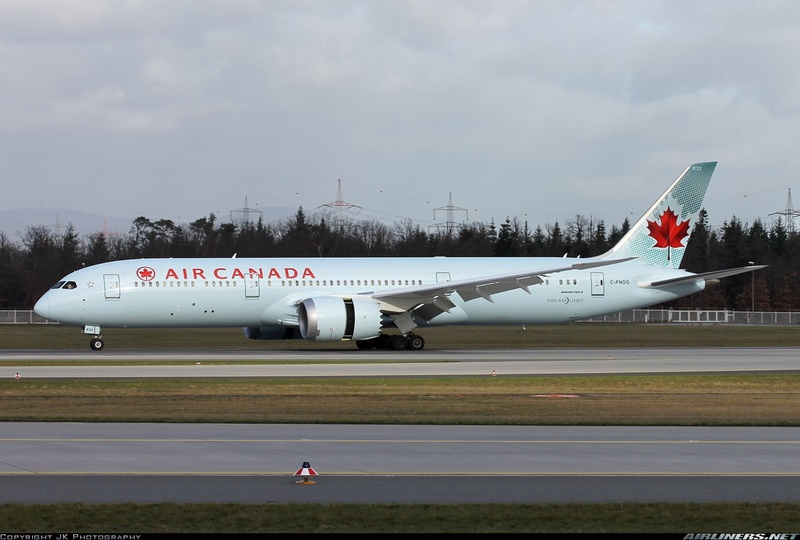 Air Canada's Boeing 787-9 Dreamliner. 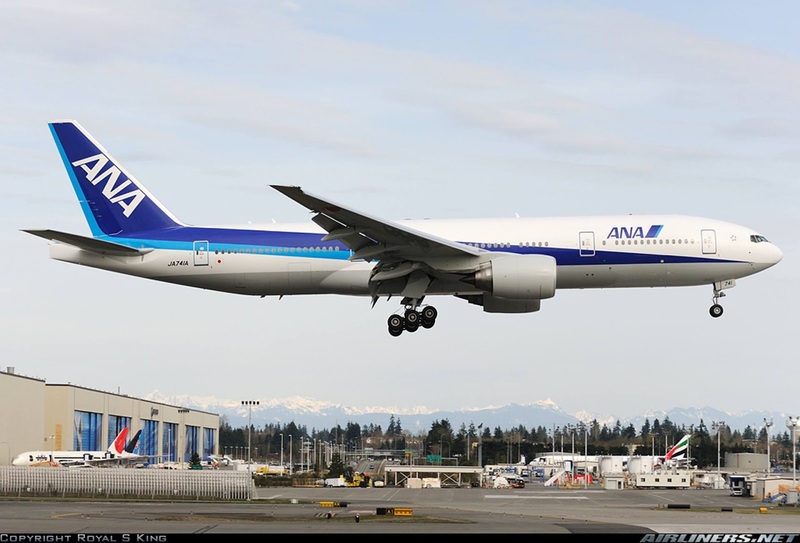 This airline operates both -8 and -9. This is for the 'Star War' fans! This aircraft is a direct competitor to the Airbus' Airbus A330-300. It may not be able to fly as far as the other 787 series (-8 and -9) but it served what some airlines needed and that is a high capacity aircraft for short-medium haul routes. Flight tests of this aircraft will take place in 2017 and first delivery in 2018. 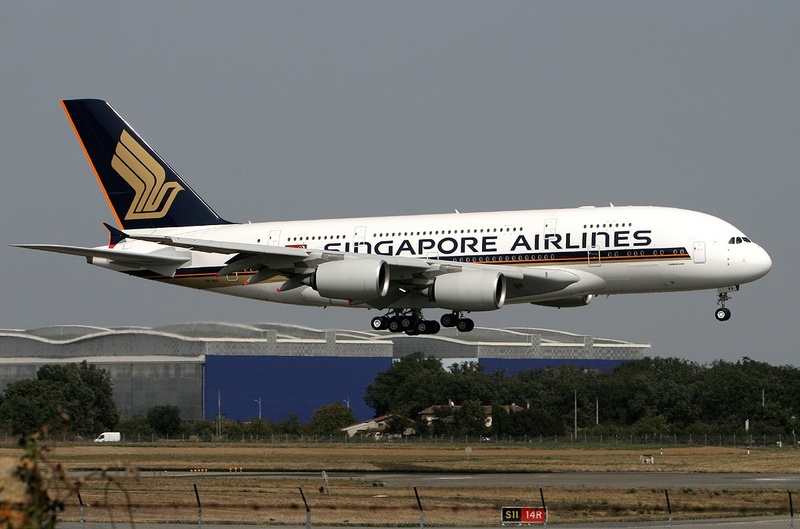 Singapore Airlines is the first airline to take delivery of this aircraft.